Welcome to the BTE Racing Car of the Week series, where we feature our customers and fans, and the cars (and trucks) they love to race. 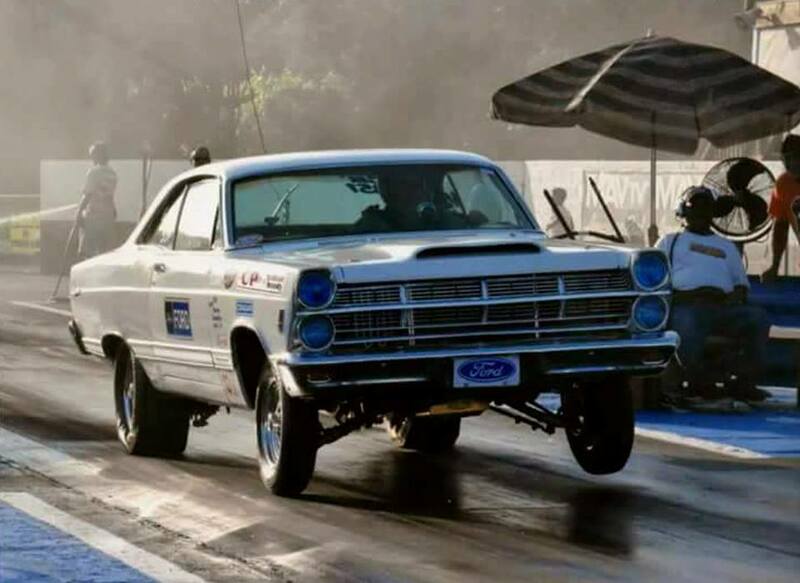 Today we're featuring Don Nelson from Greensboro, NC, who owns and races a 1967 Ford Dyno. I’ve been a fan all my life. My dad took us when we were young, as far back as 1963. My first race was in 1973. I swear by their converters. Good parts & good people. Always helps the car leave on time. Always do everything the same, whether I’m winning or losing. Welcome to the BTE Racing Car of the Week series, where we feature our customers and fans, and the cars (and trucks) they love to race. 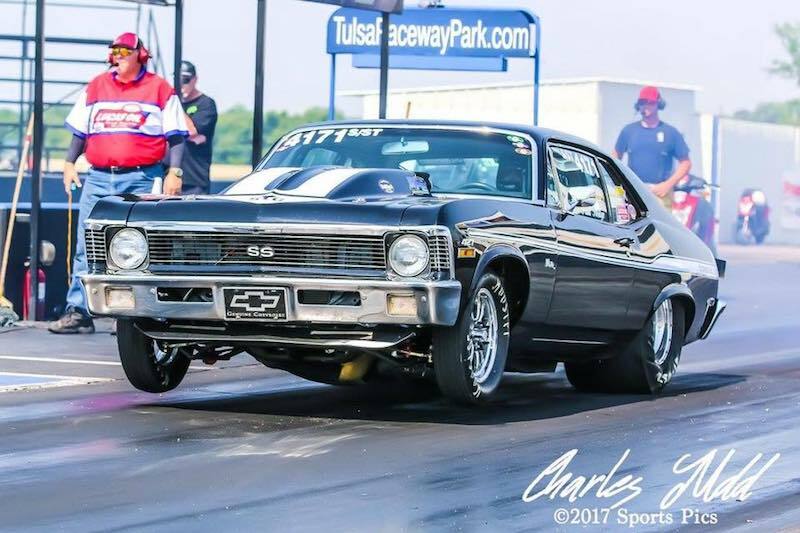 Today we're featuring Glenn McCary from Rossville, Georgia, who owns and races a 1971 Chevy Nova. A lot of my friends and family are involved in racing and got me interested. I remember it like it was yesterday. 1981 at Cooper River Drag Strip driving a 1968 Mustang. Converter and transmission, both have served me well. Quality parts and good customer service. Neil is a huge help. They’re always there when I need them in a pinch. Any of the small tire radial racers. Those guys continue to amaze me. I always say a prayer before getting in the car. Welcome to the BTE Racing Car of the Week series, where we feature our customers and fans, and the cars (and trucks) they love to race. 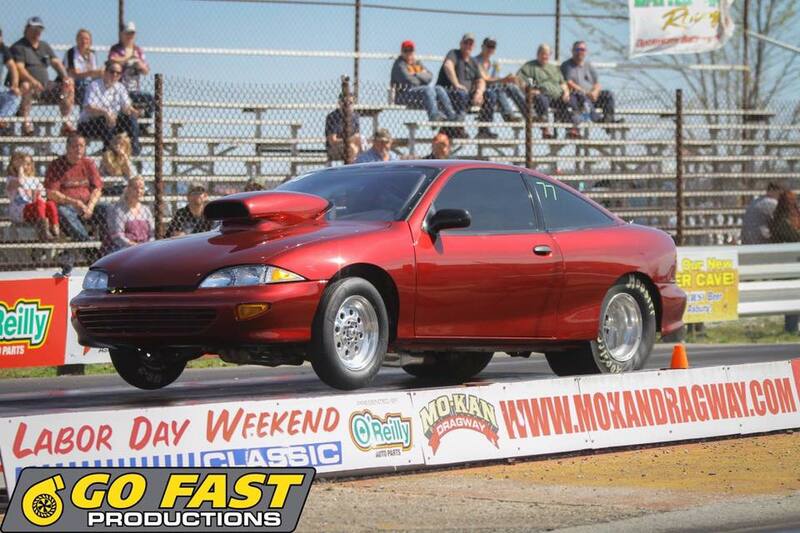 Today we're featuring Dannie Stacy from Rogers, Arkansas, who owns and races a 1997 Chevy Cavalier. I was introduced to racing by my brother-in-law. My first race was in 2000 at Mo-Kan Dragway. 413 Small Block on alcohol. Special shout out to BMS Racing Engines in Hulbert, OK! They’re the best there is! Their products come highly recommended. BTE helped me find the perfect converter for my car. Couldn’t have done it without their expertise. I never eat the day of the race. Welcome to the BTE Racing Car of the Week series, where we feature our customers and fans, and the cars (and trucks) they love to race. 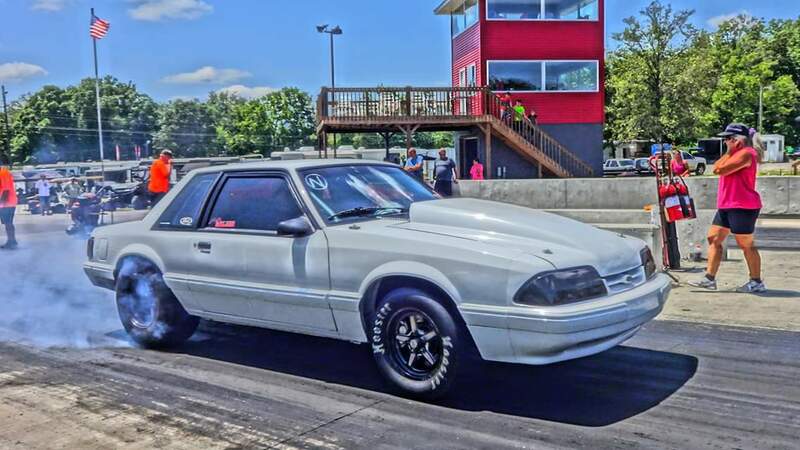 Today we're featuring Lance White from Laurel, Delaware, who owns and races a 1989 Ford Mustang. My oldest brother loves hot rods and I followed right along with him. Drummond Race Car built 9.5 SBF on alcohol with a Vortech Supercharger rear-driven YSI. Products are reliable, lightweight and safe. The consistency and dependability of the BTE transmission has resulted in several “Cash Days” wins, including being named #1 on “The US 13 top 10 list” for several weeks. I give my two sons, Codie and Jacob, and my nephew Zane a fist bump, then Kathy Drummond tells me to relighted my belts. Special thanks to Steve Drummond at Drummond Race Cars for all of their awesome work and to my lovely wife Tracy for her support! Thanks also to Jay Bradford and Bad Habit Trans for always keeping my BTE Powerglide trans 100%. Welcome to the BTE Racing Car of the Week series, where we feature our customers and fans, and the cars (and trucks) they love to race. 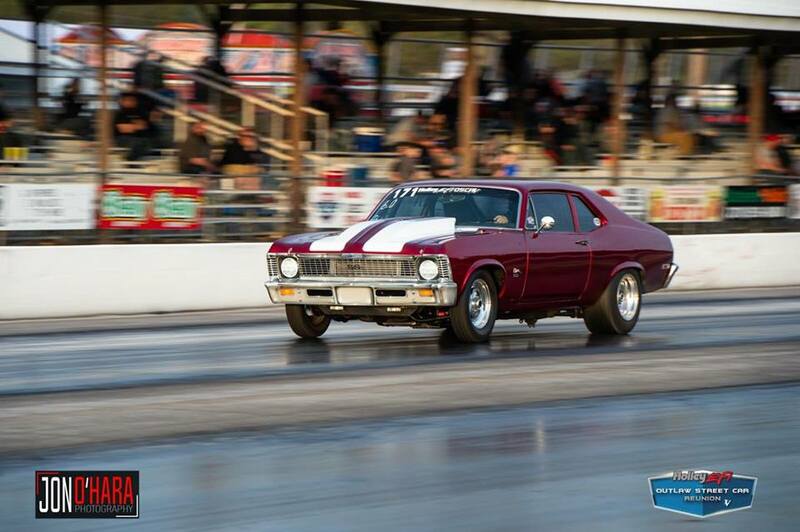 Today we're featuring Kevin Grider from Iowa Park, Texas, who owns and races a 1971 Chevy Nova. My father go me into racing. The Purple Nova, or Born to Raise Hell Nova is on the decklid. All Iron oval port 440 ci big block chevy with 11 to 1 compression, making a little over 600 hp. Herbert solid roller with 685 lift and a 750 cfm carb I converted to run on methanol. 8 inch spragless BTE converter 5700 stall. Honestly, I asked the best footbrake racers in my area what converter they were running and upgraded my program with what they recommended: BTE! From day one with the new spragless converter, my car was deadly consistent and predictable. My new BTE converter was the missing piece to make my program competitive. After a year of racing I also upgraded my son's car with a 5000 stall BTE spragless and the results were immediate. His car picked up two tenths and is also deadly consistent and a winner. My father Charles Grider. He is without a doubt one of the best racers I've ever seen and could bumper bolt and sand bag with the best of them. A full tube chassis, steel roof and quarter 69 Camaro with a 500 ci big block Chevy in it. I guess it's really getting to the track and warming up the car, checking the tires and temps and trying to do everything exactly the same before every run. Welcome to the BTE Racing Car of the Week series, where we feature our customers and fans, and the cars (and trucks) they love to race. 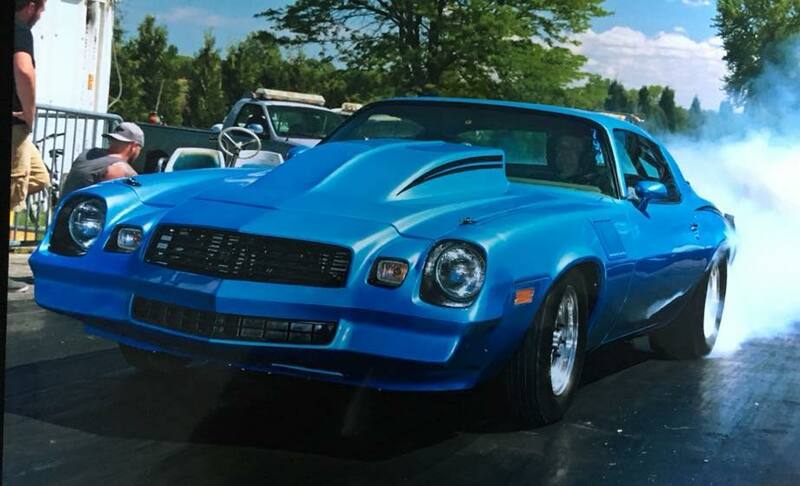 Today we're featuring Brian Stockinger from West Bend, Wisconsin, who owns and races a 1979 z28. My pops! It’s in our blood. 1993. Great Lakes Dragaway in Union Grove, WI. 1979 z28. Had this car for 28 years now. My dad. He started all of this. My wife straps me in. Welcome to the BTE Racing Car of the Week series, where we feature our customers and fans, and the cars (and trucks) they love to race. This week we're featuring Robert Kruger from Oshkosh, Wisconsin, who drives a 2007 Police Interceptor Ford. My brother got me into drag racing when I was 14 years old. 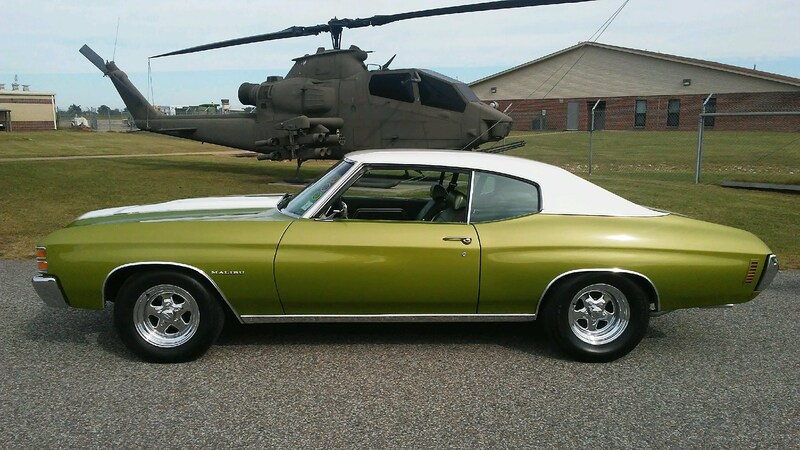 He gave me a '73 Oldsmobile and I built my first 455 old engine. Then I got an '84 Hurst Olds with lightning rod shifters (those were very cool), and I put a built 500 hp 455 Olds in. So I was hooked from the first day I got to get my hands dirty. I lived in Oshkosh, WI, and my brother pulled up to a Dodge Viper in his '71 442 built. He raced the Viper and beat him, so that was my first time in a race. The nickname for my police interceptor is Black Sunshine. I kind of went off my favorite band Rob Zombie, and the song talks about a Ford. We decided to do a 4.6 2v mercury engine swap. We went with a Victor Jr intake and MSD modular box that we converted to quick fuel carb. With custom ground cams it runs on E85. It has a push button start and an air fuel ratio gauge. With the MSD box I can make any adjustment, so that's a pretty cool set up. I also have long tube headers, fuel cell, big fuel pump and Aeromotive regulator, along with a 2.5 inch dual exhaust and 456 gears. We lightened the car up over 700 lb. We also put 15x10 Mickey Thompson drag radials on the back. Which BTE products are you hoping to use in your vehicle? I love reading up on the stories on your Facebook page and looking at the transmissions, torque converters and other stuff you guys sell. I'd like to run trans and converter. I hear nothing but good things and like parts that hold up to torque. If money wasn't an object, I would keep building my 2007 police interceptor. I've been through a lot with that car. It even survived a huge fire. Listening to the CD that survived the fire. I keep that CD for good luck and listen to it while I'm in the staging lanes. Welcome to the BTE Racing Car of the Week series, where we feature our customers and fans, and the cars (and trucks) they love to race. 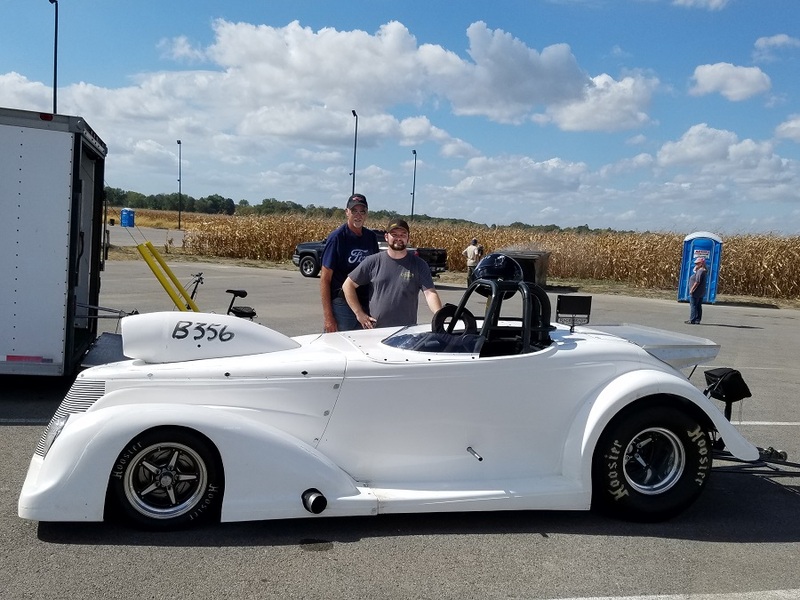 This week we are featuring Brian Spears from Newburgh, Indiana who drives one of the older race cars we’ve written about, a 1937 Ford Roadster. 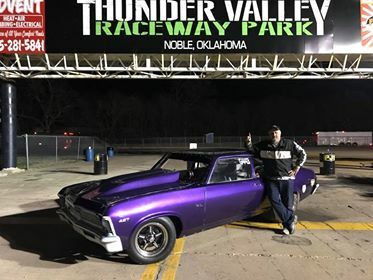 My dad raced a 1970 Nova my entire childhood so every Saturday was spent at the race track. At Chandler Motorsports Park in Chandle, Indiana in 1996. I got my license on Wednesday and was racing my 1972 Ford Maverick on Saturday. I even won trophy class that night. Transmission shield, 1.80 gear set and input shaft. They are quality parts that so far that I have been unable to break. My dad. He’s been doing this a long time and supports me in any way he can. Welcome to the BTE Racing Car of the Week series, where we feature our customers and fans, and the cars (and trucks) they love to race. 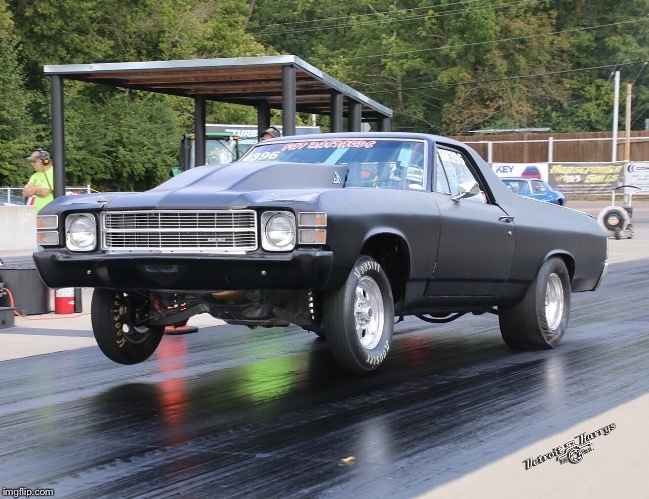 Today we come to you from Xenia, Ohio where Big Ray Salyers races his 1971 El Camino. I grew up in the suburbs of Dayton Ohio in the 60s and 70s where fast cars were everywhere and I lived only a few miles from Kil-Kare Dragway. I had to have a fast car when I turned 16 so in 1976 I bought a 1964 Chevy II that had a high compression 327 engine and a 4 speed. The mold was set. My first race was against my buddy Andy Wado’s 442 on State Route 42 outside of Xenia, Ohio. I race a ‘71 El Camino. BTE TH400 Full Manual Transmission body, sprag and clutch kit. I Run BTE products because I only want the best. I was really impressed by Bo Butner last season. I was thrilled he won the Pro Stock Championship flying the Bo Bandit colors and he really hooked me up for Christmas! If money wasn't an object I’d have a COPO Camaro or Yenko as a daily driver. Pre-race is all about having a plan, being calm and execution. I seem to struggle more with the execution part more than anything else! Thanks to our BTW community for motivating us to provide the best parts and service each and every day—you make it worth it! Welcome to the BTE Racing Car of the Week series, where we feature our customers and fans, and the cars (and trucks) they love to race. Not all of our customers come from the North American continent—in fact, we're proud to have customers all the way out in Australia! We're excited to share today's 1970 Holden HT ute, driven by Steven Payne, from all the way out in Jabiru, in Australia's Northern Territory. It was the spur of the moment. I had to take the Holden HT ute (stands for utility) into the Darwin Motor Vehicle Registry for a registration inspection where I heard of a drag race meeting the following night, so I decided to stay an extra night and see how quick the Stock 350 Chevy was. I had so much fun and that started the spending frenzy. 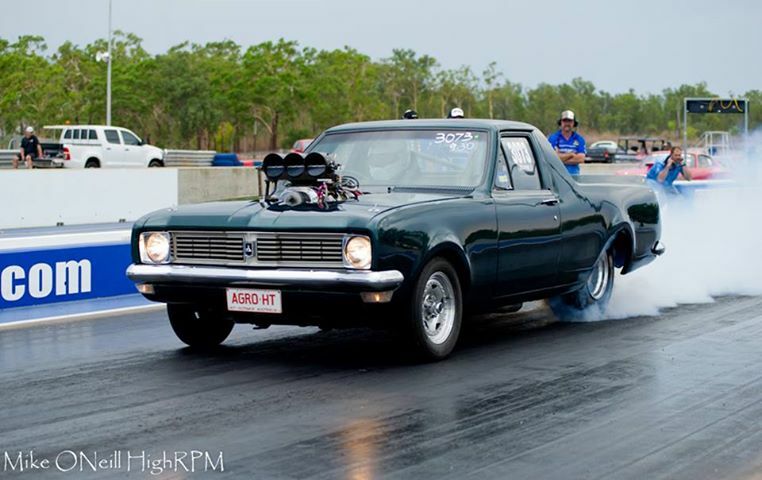 I have owned and raced the same car—a 1970 Holden HT ute—since 1993. A 540 stage 3 Scott Shafiroff BB Chevy short motor with Brodix heads and 8/71 Littlefield blower. I needed a new transmission in a hurry and I was able to buy a transmission for another customer from a shop in Sydney 2006. The parts I know that are BTE in that transmission are the 2003-dated one piece SFI Powerglide case and the aluminium deep pan. My BTE transmission has copped 11 years of abuse and still going strong. I was serviced in 2015 with no problems found. I’d drive the same car with more horsepower. I check that the switches are all on. Welcome to the BTE Racing Car of the Week series, where we feature our customers and fans, and the cars (and trucks) they love to race. 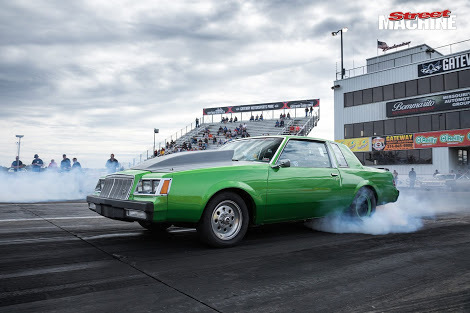 Today, we're featuring an Australian from Perth who races a 1984 Buick Regal that won the title of fastest Buick at Hot Rod Magazine’s Drag Week 2017. I got into drag racing due to a love of going fast as a kid. Once I got my licence I started racing my daily driver and I just got faster from there. I live in Perth, Western Australia but I keep my car in Oklahoma. It was the 1/8th mile with no prep at the Barbagallo Raceway in Western Australia. The removable bellhousing and SFI certification works well for me especially at the such a great price. Welcome to the BTE Racing Car of the Week series, where we feature our customers and fans, and the cars (and trucks) they love to race. 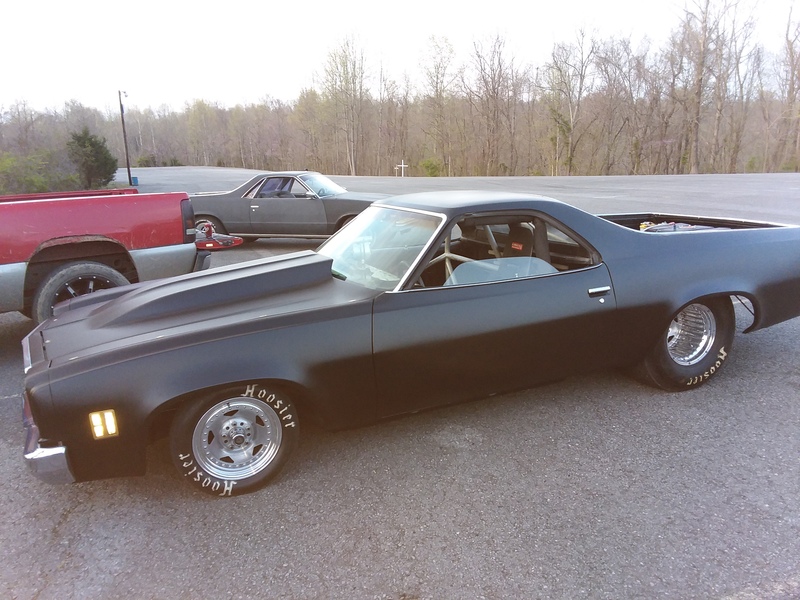 Today, we're featuring a 1979 Chevy Camaro from owner/driver Michael Braddock, hailing from Kelton, Texas. 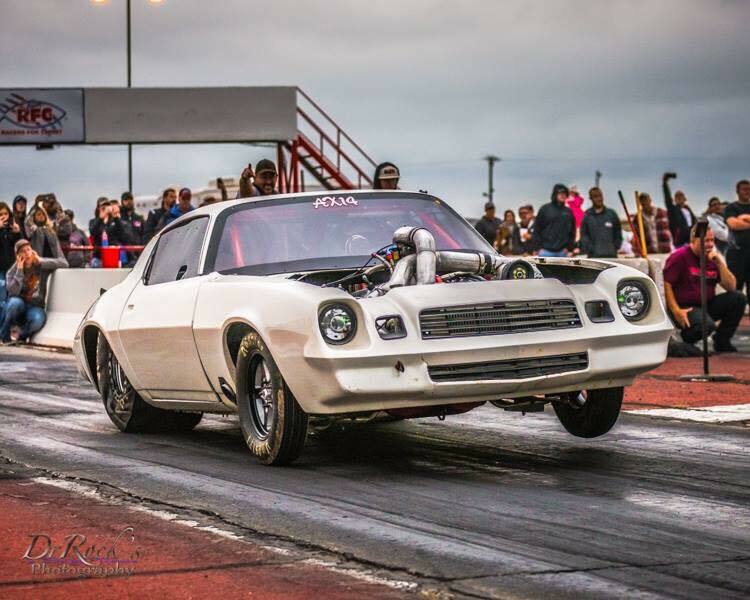 You can find him and his family racing every other weekend at either at Sayre Street Races in the small Western Oklahoma town of Sayre or at Amarillo Dragway in Amarillo Texas. 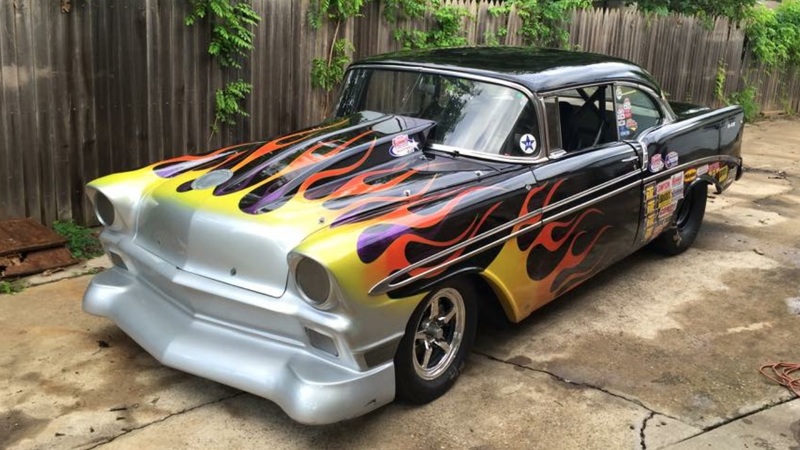 My dad always had hot rods and worked on them at his mechanic shop when I was growing up. I always loved getting to drive a few very nice old school street cars and even raced a few of them on the back roads around my hometown. So I would have to say my dad is to blame for my addiction and for being broke all the time from buying new parts. I live in the middle of nowhere 15 miles east of Wheeler Texas. It’s a very small town in the eastern Texas panhandle. I live there with my lovely wife Cassie and our two children, Gus and Tess, who both race in the junior dragster class. I would have to say was in the late 1980s at Amarillo Dragway and as most youngsters, we would street race on the back roads. An F2 ProCharged 540 BBC with a Callies Magnum Crankshaft, a COMP cam, GMB aluminum rods, Damion pistons, Brodix heads and a C&S Blow-Thru methanol carburetor. I run a BTE Top Sportsman Powerglide transmission, a BTE torque converter and a BTE billet pro tree brake. Because BTE is the best in the business. I’ve never had a problem with any of my BTE parts and I pound on them way harder than most would. Customer service is also hands down the best I’ve ever dealt with. I look up to my racing family - they’re always there to lend a hand or offer parts to fix my car. It’s good to line up next to them and try to beat the brakes off them. I am driving my dream car now. Sure, there are better cars than mine but I have built my dream car and I love it. My kids help work on all of our cars too. It just doesn’t get any better that. I clean our hot rods up and go over every nut and bolt. We turn the music up in our trailer and just talk cars and how we can make them better for that day’s race. 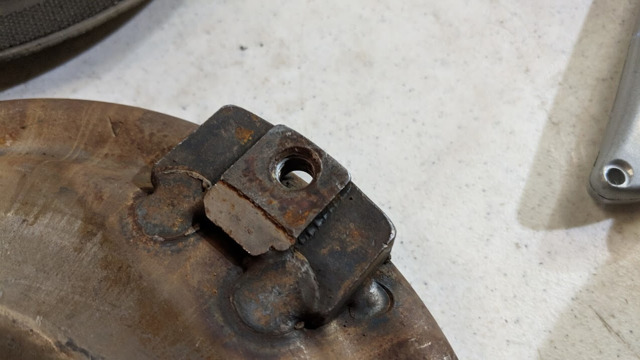 As much as possible, major fasteners should be torqued to proper specs. 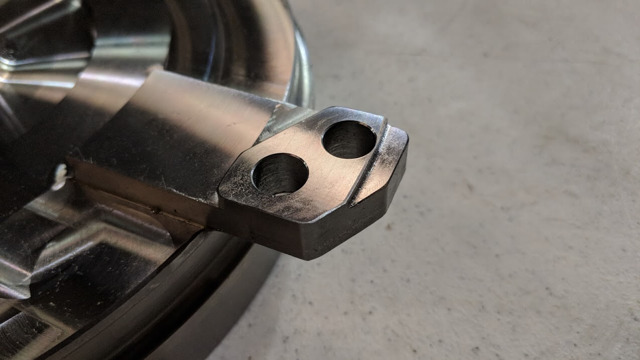 Flexplate to crank bolts, valve train, bellhousing to engine block, and countless other connections need to be properly tightened for safety and reliability. An inch lb. wrench is also a good tool to have for powerglide band adjustment! Drinking water, engine oil, and automatic transmission fluid should be in every trailer. Hopefully you won't need to drain an oil pan, but you may be able to help out a fellow racer in need that is having to check an engine bearing or swap a torque converter. A prepared racer will keep a box or cabinet in their trailer with commonly replaced items such as spark plugs, transbrake solenoids, carburetor gaskets, starters, and brake pads. A five dollar spark plug replacement will cost a lot less than a final round of a ten thousand dollar race! 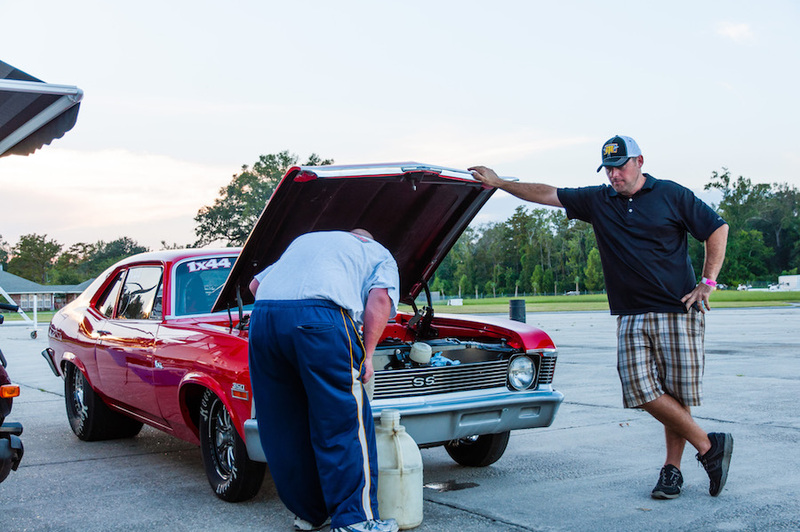 We all come to the drag strip to have fun, spend time with friends and family, and maybe take home some of the purse. And while it's often a challenge because of heat or the stress of the competition, we should always consider those around us to make it a good weekend for everyone. Even in possibly the noisest of all pasttimes, race tracks need quiet time, too. Don't fire up and test your rev limiter at 11 PM, and make sure your generators are properly muffled—someone or their family is probably trying to sleep! Also, be respectful of pre-race religious ceremonies on Sundays and avoid cranking up before they are finished. In bracket racing, finish line driving is a careful ballet of judging your speed versus your opponent's, and manipulating the position of your car as you race to the end. Braking is part of that strategy, but excessive braking isn't safe. Don't slide or smoke your tires to finish line drive. It's not safe for you or the car in the other lane. Keep the speed on the track. Drag strips are generally full of people walking, riding bikes or scooters, or kids playing. Speeding around the pits before or after a pass isn't safe and makes everyone uncomfortable. Congratulations, you just won a round! Don't flaunt it to the racer in the other lane by ripping the throttle repeatedly after the finish line. Keep the track clean, put your trash in the right places, be careful with spills, and most importantly: be cool to the staff. They make the races happen so we can all enjoy our passion. If you've made a mistake or lost the last round, don't take your frustration out at the ticket booth by peeling out. In the end, it's just a race! Welcome to the BTE Racing Car of the Week series, where we feature our customers and fans, and the cars (and trucks) they love to race. 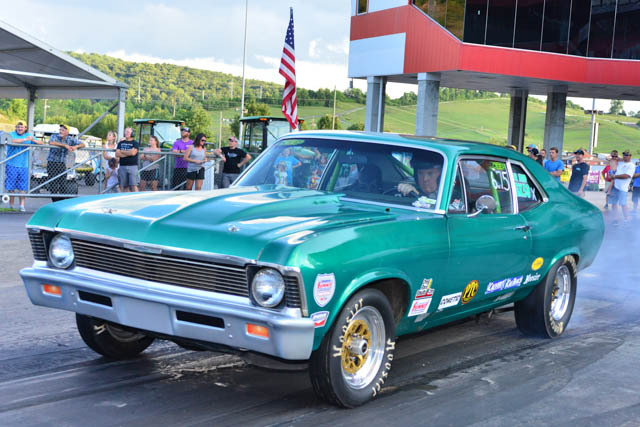 Today, we're featuring a 1972 Chevy Nova from owner/driver John Molyneux, hailing from East Brunswick, NJ. My interest in drag racing stemmed from my first trip with my Dad to summer nationals at Raceway Park back in 1973 From that point I was a huge fan of Jungle Jim Liberman and Jungle Pam. You can’t beat their products or their customer service. What I drive now, a 1972 Chevy Nova, just with more power. I set the air pressure in the back tires, LOL. 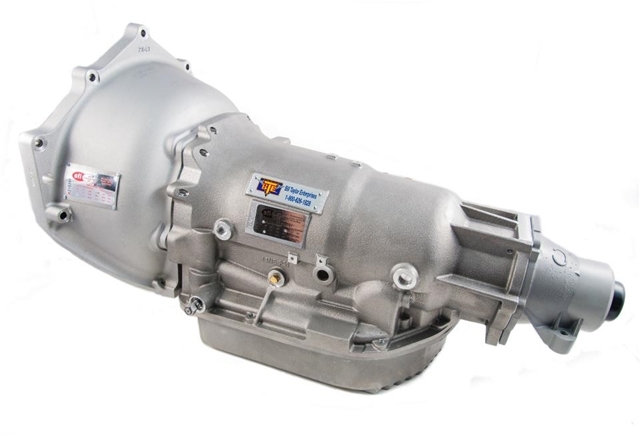 Get Your Drag Racing Powerglide Transmission Ready For the Season. Here's five important checks to make to your racing powerglide transmission before the start of season. 1. If the car has been sitting for a period of time, look for any obvious oil loss on the floor of your trailer or shop. Automatic transmission fluid may be leaking from a worn seal, bad gasket, or cracked housing. If you are using a stock case, they are more prone to crack and leak in the rear clutch section. If this is a problem, we recommend upgrading to a more reliable housing. 2. Change the automatic transmission fluid and filter. Inspect the used oil in the pan after removal. If more than normal amounts of clutch material or metallic flakes are found, it may be time to do a rebuild of the transmission to replace worn out bushings, washers, or the band. Also, when it is time to fill the transmission and converter again, we recommend using a quality full synthetic fluid or a semi-synthetic blend like this one. Also, don't forget to check the oil level with a quality dipstick - over- or under-filled transmissions won't perform properly. 3. To prevent the premature wearing or failure of the powerglide band, set the band adjustment to the specs as found in our band adjustment guide. 4. Test the line pressure of the transmission in all modes of operation. Less than standard line pressures will cause clutch and band failure in high performance applications. BTE recommends low/high gears line pressures of 225-275 psi for most powerglide configurations, and we have pressure springs available for all pressures. 5. Remove the yoke from the rear of the transmission and inspect for wear. Improperly matched yokes can cause problems with transmissions using roller bearings in the tail housing. You'll need a nitrided yoke if using a roller tail housing. Follow those five points and your racing powerglide transmission will be ready to stage. Welcome to the BTE Racing Car of the Week series, where we feature our customers and fans, and the cars (and trucks) they love to race. 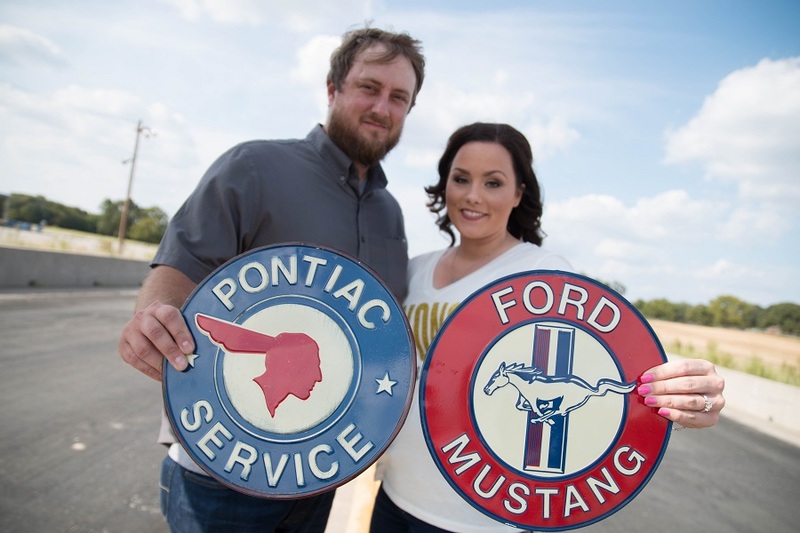 This week we are reaturing recent newlyweds Michelle and Jake from Lavon, Texas, who both got their love of racing from the fathers. It all started with a Facebook friend request since we were both racers. Then we met in person at Texas Raceway in Kennedale in June of 2010 during a bracket race. I (Michelle) have been involved in the sport the longest. One of my dad's proudest moments was taking me to Texas Raceway the weekend after I was born due to him having a race. Being around racing since birth, it was natural that I went into junior dragsters and then onto big cars. Jake was 7 years old when he and his dad first came to the track to race, but had been to a couple of national events previously. From juniors, Jake moved onto big cars. We most definitely have our dads to thank for introducing us to this sport! Which car(s) do you drive (make/model/year)? I race my dad's 1969 Ford Mustang, and Jake races his 1976 Pontiac Trans Am. My dad's Mustang is Ford-powered with a 460 engine (yes it fits!) while Jake's Trans Am is all Pontiac powered with a 440 engine. The Mustang has probably one of Mr. Wendell's first BTE powerglide transmissions and the Trans Am has a BTE powerglide transmission and BTE torque converter. That one took a lot of convincing but Jake will never turn back now! Do you race your own individual cars, or share? We race our individual cars, but we are always up for sharing if the need is ever there. How do you race together? I prefer electronics and Jake prefers footbraking, but we both consult each other throughout a race on what we could have done differently and how to handle different situations from start to finish. How do you complement each other while racing? We are a team and openly discuss our races with each other and allow feedback from one another to better ourselves for the next race. We both bring years of knowledge in racing to our relationship and with our different race styles, some outside opinions are sometimes helpful. It is not always losing if you're learning. What does one partner do that enhances or works together with the other? We are both pretty self-sufficient in managing our own operations at the track as we each have specific things we track and our own routines from round to round. We are also not a sit-back-and-watch-the-other-one-do-all-the-work kind of team. Whether it is helping each other with fuel and battery charger in later rounds, or thrashing on broken cars, we can be seen side by side helping one another out. Do you ever race against each other? We have raced a handful of times against each other, mostly when we were racing in the same class at the start of our relationship. We do have a few tricks up our sleeves to stay away from each other as best we can until later rounds. Do you share the pot when one of you wins? Most of the pot goes back into our operations, but we most definitely have celebratory dinners at some of our favorite restaurants! What's your strategy for staying a team? How do you support each other, win or lose? The biggest thing that you have to learn in this funny sport of ours is to give each other some space after a loss. This sport creates some of the hottest tempered individuals, and when you're paying the money that we do to race week in and week out and keep your car at the top, you don't like losing. Winning is the fun part so we make sure to share those fun times together, especially at some of the bigger events that we have attended. It is easy to keep the team aspect alive because both of our hearts are in drag racing. Win or lose, we're out there doing what we love together. We share this time with each other, our families and closest friends, and it can't get much better than that when you share your ultimate passion with the ones you love. Welcome to the BTE Racing Car of the Week series, where we feature our customers and fans, and the cars (and trucks) they love to race. 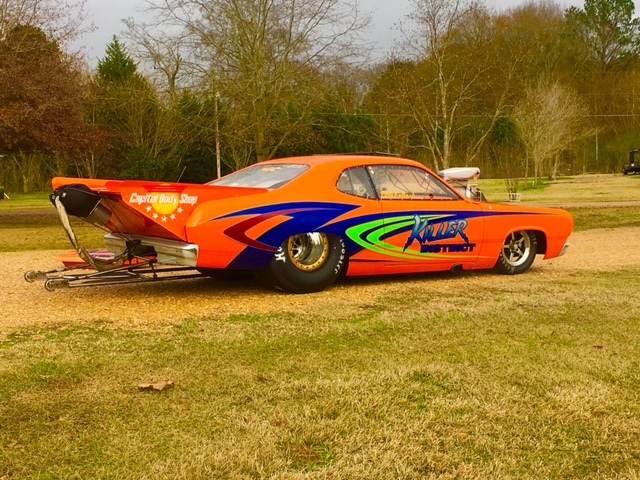 Today, we're featuring a 1972 Plymouth Duster from owner/driver Billy Fuller, Jr. hailing from Brandon, MS. I was born into drag racing. My first race was in 1992 at the Hub City Dragway. I have a BTE transmission and torque converter. They have great people and great parts. Welcome to the BTE Racing Car of the Week series, where we feature our customers and fans, and the cars (and trucks) they love to race. 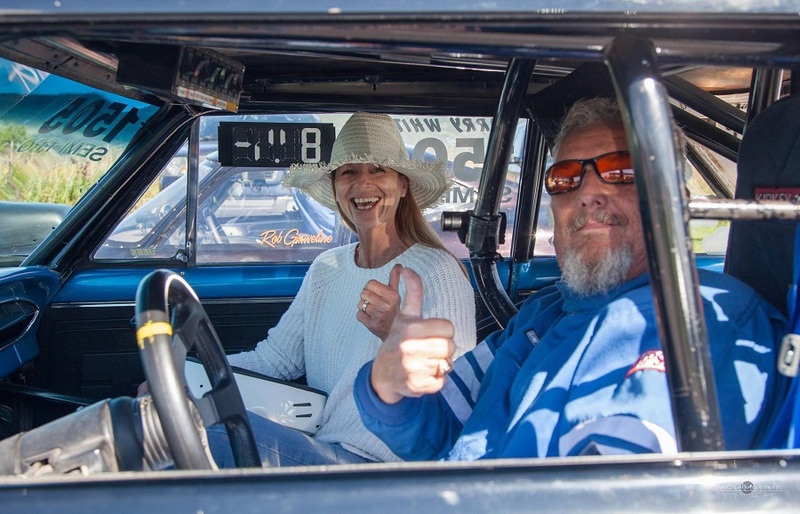 This week we are featuring another one of our racing couples, Steve and Nanette Place, a husband and wife team from Springdale, Arkansas who race a 1992 Corvette. We met in a martial arts class. A blown & injected 548 BBC engine. We have a BTE Transmission and Torque Converter. We just race the Corvette - I drive on the track while Nanette drives down the return road. I am the driver while Nanette is the Co-Crew Chief and handles all the non-driving support activities including computer, parachutes, strapping Steve in and guiding him back after the burn-out. We just like to have fun and make a LOT of noise. I work on timing and power management issues for the track conditions while Nanette reads the plugs and appraises me of any changes that might alter the set-up. Nanette also keeps an eye out for loose bolts, fittings, etc. She once heard an injector line spraying over the sound of the engine running! Only to the snack bar! Without each other, there is no team. We both know the car takes more than one person to run at the track. Between her and Shinook Auto Machine Shop, we've got a pretty good thing going. We all support each other. 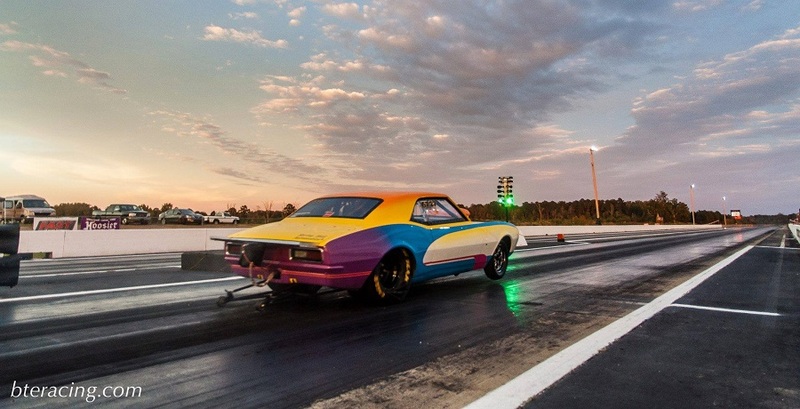 Win or lose, there's really no bad days at the drag strip. Spring break is here, and whether you've got a week full of activities ahead or plan to just stay closer to home, movies are a great way to wind down and take a break with the family. So grab your popcorn and consider checking out some of these classic racing movies. At the very least, you'll hear some pretty groovy music. This action-packed Canadian film tells the story of promising car racer Billy "The Kid" Brocker and his mentor Lonnie "Lucky Man" Johnson. The problem is, their corrupt team boss Phil Adamson is making plans that don't include them. Mayhem ensues as Lonnie and Billy clash with Adamson. Watch the trailer below, then head to YouTube to watch the entire movie. Danny Krueger is sent to live with his estranged father after getting into trouble during an illegal street race that results in an accident. 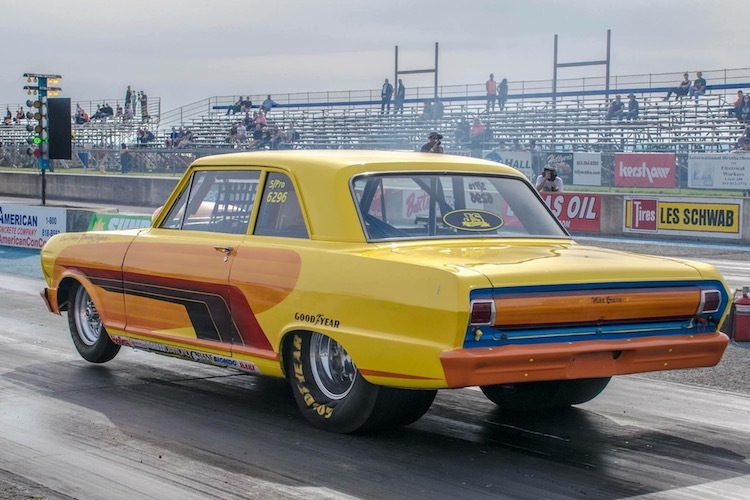 When he decides to race in the NHRA High School Drags, his dad, a former NASCAR racer, works with him so he can find a way to take the title away from a tough rival. Watch the trailer below then watch the full movie online here. A flashback to the drag racing days of the 1960's and 70's with racers Bill Schultz, John Lombardo, Norm Wilcox, and Larry Dixon making an appearance, Drag Racer was filmed on location on various West Coast racetracks. It follows the story of Mark Slade as he tries to make a name for himself in Top Fuel. Watch some scenes from the movie below, or watch the entire film over on YouTube. For more racing movies, check out our post here. Welcome to the BTE Racing Car of the Week series, where we feature our customers and fans, and the cars (and trucks) they love to race. 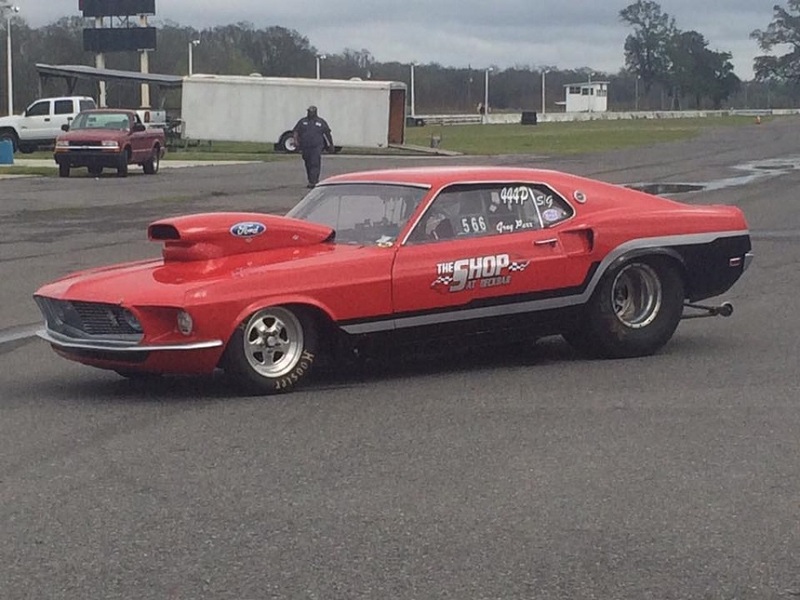 Today, we're featuring a 1969 Mustang Fastback from owner/driver Greg Parr, hailing from New Orleans, LA. I first raced my Mustang in September of 1990. 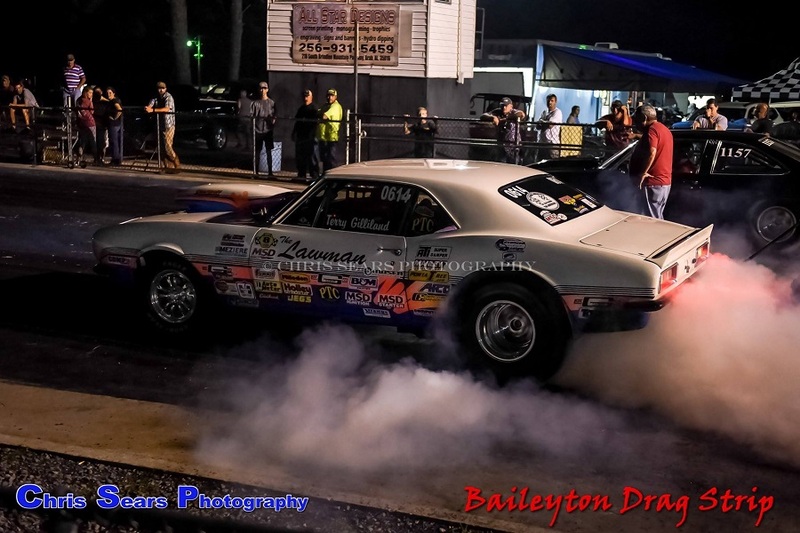 My Mustang is a 1969 fastback that first ran 12.70's way back when at Gulfport Dragway, and over the years it has become a low 8 second beast using BTE’s Top Sportsman Powerglide transmission! A 514 CID Big Block Ford. How did you first learn about BTE Racing components? I was at a race at No Problem Raceway in 2008 and I blew 2 of my home-built transmissions in one day. Well, y’all had your trailer there selling transmissions and other parts. I asked the salesman there if y’all could build a transmission that can handle the power of my Big Block Ford. Your guy said "NO PROBLEM!' so I bought two of them. I use BTE transmissions in both my 1969 Mustang and in my 618 CID Big Block Ford powered Top Dragster with no problems at all. Our team at The Shop at Deckbar also runs your parts in all of our cars. Since then all I have had to do is freshen up my transmissions every 250-300 runs.Ya'll make a GREAT transmission. Thanks for building a great transmission for both of my racecars! Tell us about your recent race wins. I have won three Ford Performance Association Championships (2008, 2016, and 2017), and The $10,000 Southern Big Bucks Nationals at No Problem Raceway February of 2017 and many more bracket races the last few years! Just last week I was awarded "The Most Improved Driver of the Year" for 2017. 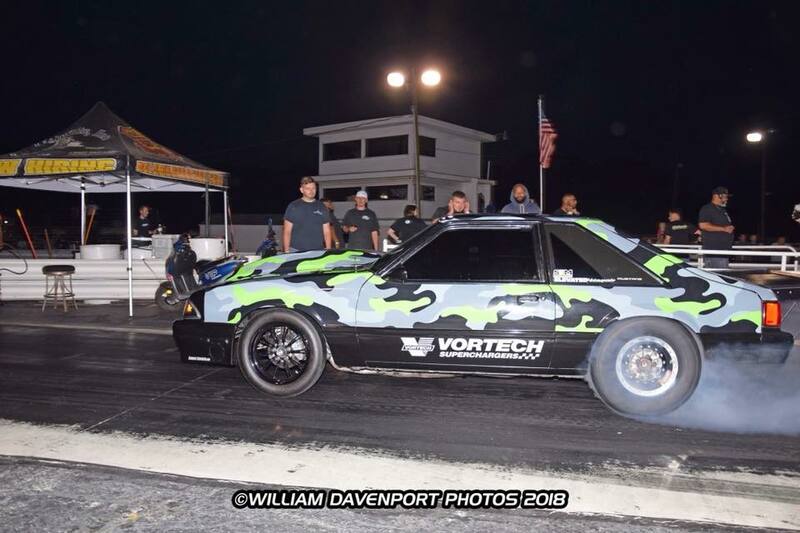 Welcome to the BTE Racing Car of the Week series, where we feature our customers and fans, and the cars (and trucks) they love to race. We are continuing with our couples edition this month and today we are featuring Larry and Anne Whitty, a husband and wife team from Ottawa, Canada that drive a 1964 Chevy Nova II. Larry raced first as a crew chief on a boat race team. 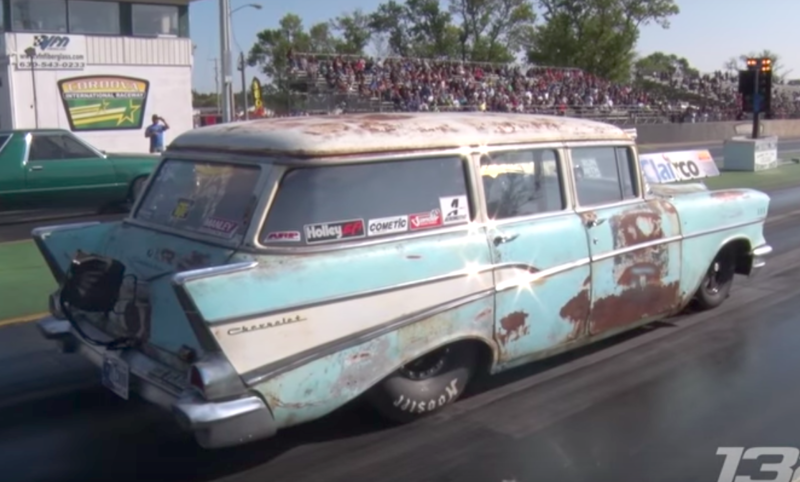 The Whittys drive a 1964 Chevy Nova II. A 355 SBC engine with a 671 TBS Blower. How did you find out about BTE? 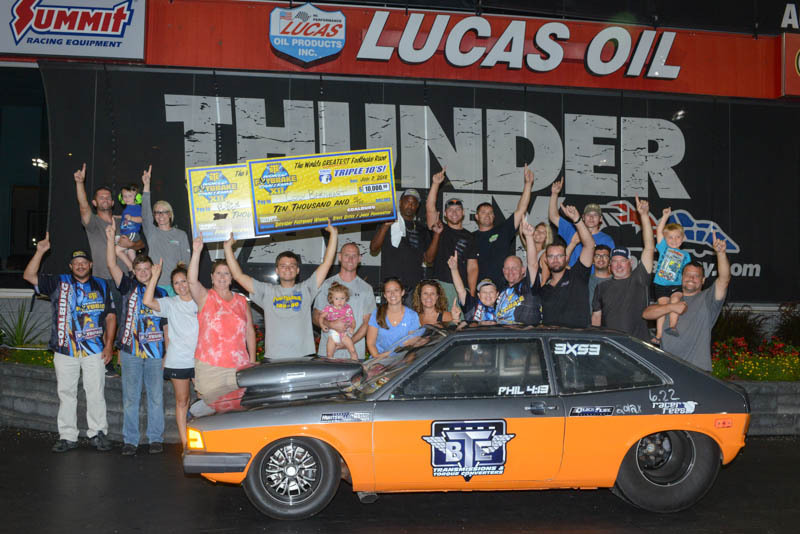 We were made aware of BTE through a lot of racers at Luskville Dragway. Larry drives, while Anne is the crew chief. Anne keeps me in line while I’m racing and and helps dial-in the car. Most of the prize money goes to the race team, but Anne is part of that team, so she gets some as well. Anne has been with me 40 years and she just does so much. At BTE Racing, we use the best materials and craftsmanship available when we build our components, but the intense heat and power produced by today's race engines merit a careful check up on a regular basis. That's why we recommend torque converter servicing on an annual basis. So what can you expect when you send in your torque convertor for servicing to us? 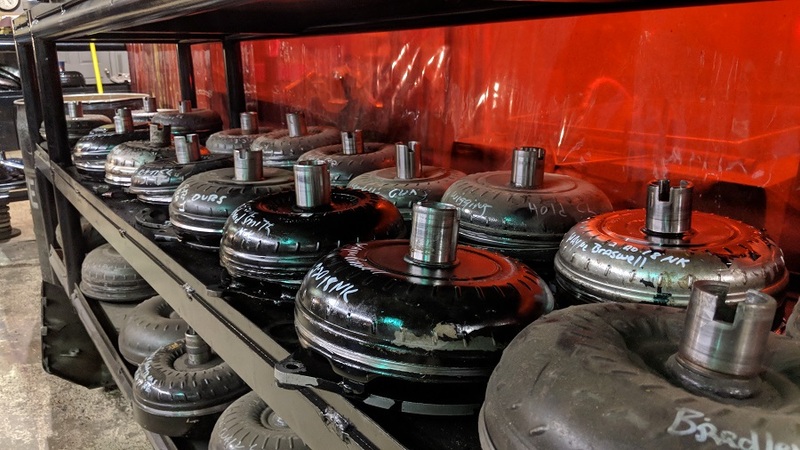 Upon arrival to our facility, we drain and then cut open the torque converter to inspect for wear or damage. 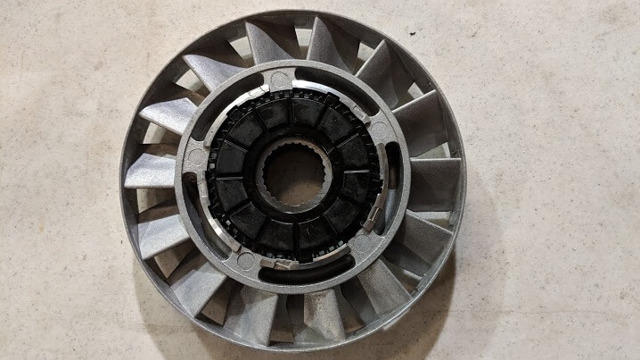 With forged covers, spragless steel stators, full furnace-brazed impellers and turbines, a modern race converter is very durable. However, we take great care to inspect and replace bearings and bushings that may have worn due to excessive heat. This is also when we will consult with you about your current combination and performance expections. 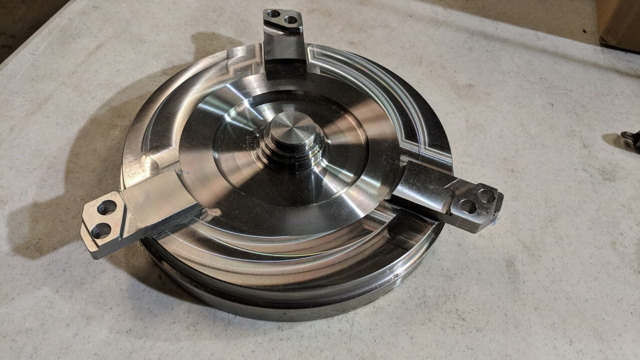 At this stage, we can modify or replace internal components to adjust the stall, slippage, or torque multiplication to improve your on-track performance and consistency. For example, a new stator or primary pump adjustment can bring a lazy car to life! 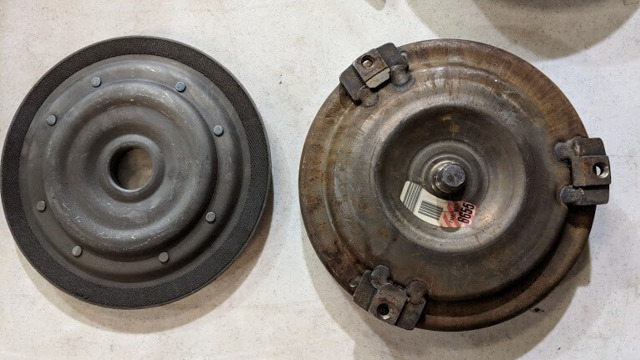 We will use our experience and compare your vehicle to the thousands of others we've optimized, but if we have more detail and quality data, we can more accurately configure your torque converter. After you approve the changes we re-check all tolerances, then re-assemble, weld, balance, and leak-test your newly freshened torque converter. 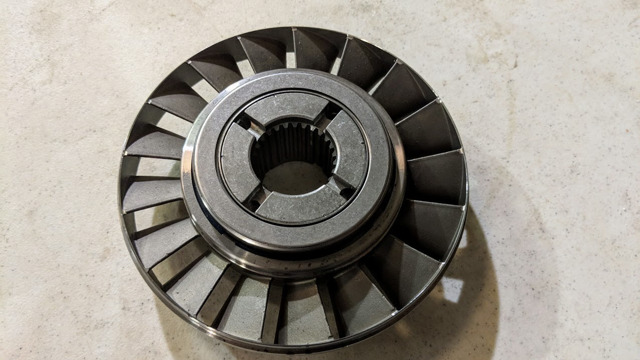 Most torque converters can be quickly turned around within a few days, so we will get you back on the track as soon possible. You can find out more about our facilty or reach out to us with any questions or to start the process of servicing your torque converter. Welcome to the BTE Racing Car of the Week series, where we feature our customers and fans, and the cars (and trucks) they love to race. In honor of Valentine’s and the month of love, we're featuring couples who loves to race together. Meet Greg and Dana Dillman, a husband and wife team from Greenwood, Indiana. We met in high school when I was 15 and Greg was 16. We have been together ever since! Greg began racing the first year that they had Junior Dragsters. 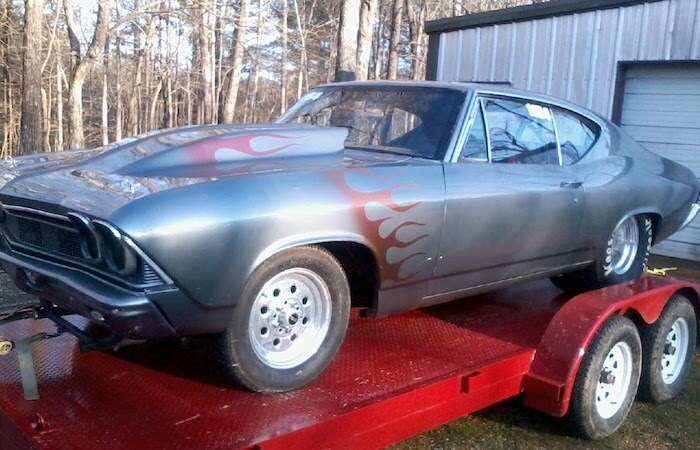 Greg has a 1967 Chevy Nova II, and I race a 1964 Ford Fairlane. 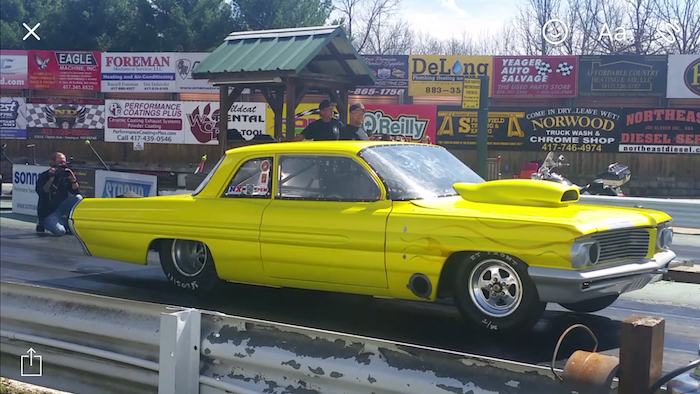 Greg’s Chevy II has a 400 cubic-inch small block engine, while my Fairlane has a 302. Greg is the driver most often and I mostly crew chief these days. We do everything together and always race. Our daughter, Layla Dillman, is even in her sixth season of Junior Dragsters. We have always helped each other do everything and we have always worked well together. From engine maintenance to assisting each other each and every run, we make it happen! No, we have never raced against each other. Yep, all goes to the same spot! We try to stay positive and make sure that we are always having fun and enjoying our time while at the track. Welcome to the BTE Racing Car of the Week series, where we feature our customers and fans, and the cars (and trucks) they love to race. Today, in honor of Valentine’s, we're featuring a couple who loves to race together. Meet Afton and Joe Swanson, a husband and wife drag racing team from Denver, Iowa. We both started racing at Humboldt County Dragway in Humboldt, Iowa but had never raced there at the same time. We had a mutual racing friend who introduced us. We met in person for the first time in November 2010. Afton started racing Junior Dragsters in 2000, and Joe started racing his street motorcycle in 2009. Which car(s) do you drive? 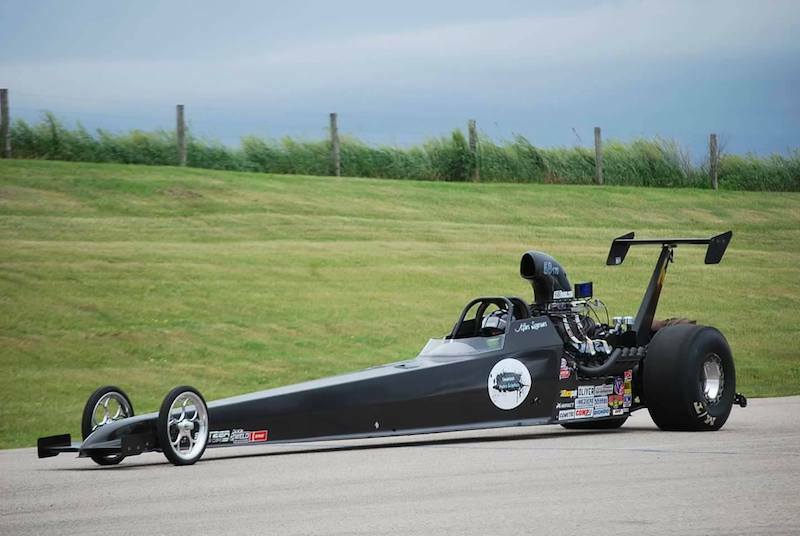 Afton’s car is a 2015 Spitzer Top Dragster. Joe is building a 1997 Chevy S10 drag truck, which we hope to have on track this season. Afton’s dragster has a 540 cubic inch Big Block Chevy with 14-71 supercharger while Joe’s truck has a 434 cubic inch Small Block Chevy. 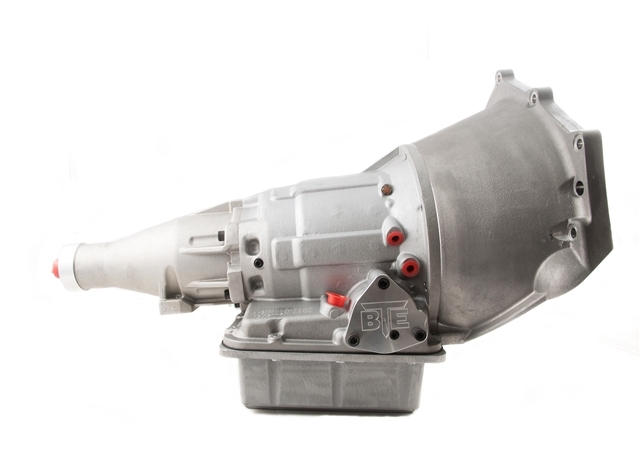 We use BTE torque converter and BTE internal transmission parts. We are also a dealer of BTE products through our new business venture, Swanson Performance. Afton races the Top Dragster. When Joe’s truck is done he will race in Super Street and we will both race the truck in Super Pro and Pro at the local bracket races. We follow the same process every time we make a pass, whether it’s a qualifying run or a final round. By doing everything the same, we develop a routine and can maintain the same level of performance throughout the event. Joe has developed a talent for tuning. 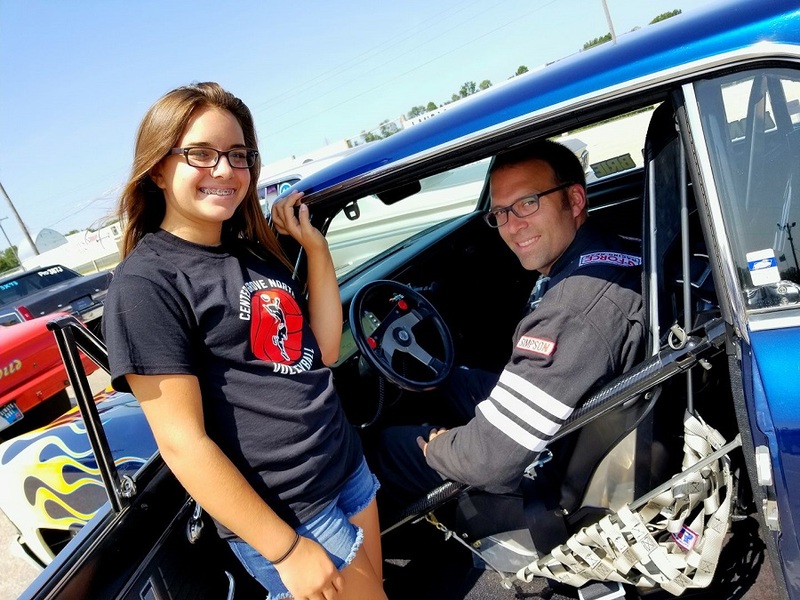 He likes to try new methods and over the past few years he has fine-tuned Afton’s Top Dragster to be one of the fastest in the country. We work well as a team (in racing and business) because we have complementary talents. After every run, Joe pulls the Race Pak and determines if any changes to our tune up are needed. Afton records the weather, packs the parachutes, charges the car, and refuels. Most of the time, no major changes need to be done, but if there are we have our tools organized and ready. Afton pulls the spark plugs and valve covers while Joe investigates and diagnoses any issues in the motor. Since we have both raced very different vehicles, we have never made an elimination pass together, but we have made three test and tune passes and dialed in like a bracket race. Afton drove her dragster and Joe drove his motorcycle. Afton won twice and Joe won once. We put all the winnings back into racing; it pays for our fuel to keep us going to the races throughout the season. Last year when we won the Topeka Nationals, we put the winnings into a new shop for our business, Swanson Performance. We can’t do this without each other, so everything we do is a team effort. When we win, we look at what went well and add that to our routine every week. If we lose, we look at what we didn’t do right and take that out of our routine. When it is time for one of our team members to move to new opportunities, we wish them greater success but we will also miss them, and that’s especially true for salesman Bryan Robinson, who’s been with us since January 2004. After more than a decade helping customers create truly fast racing machines, Bryan’s trading in his sales and racing specialist title for a well-deserved new moniker: outside Racing and Technical Consultant. In honor of this new change and his many years of service to BTE and our customers, we knew it was necessary to give Bryan his own post. Over the years, Bryan has raced NHRA Super Gas, Super Comp, Stock, and Top Dragster in addition to two decades of bracket racing. He remains one of the top minds in sportsman racing in the world, and has used his knowledge and skills to help many customers win their own championships over the years. In addition to his 2003 national championship, he's won a huge list of "big money" bracket races, winning some purses as high as $50,000. Bryan designed and planned configuration of our 18-wheeler that we toured across the country from 2004-2006, building product displays, organizing schedules, and attending the events in competition and as a representative of BTE. He helped us stay steady through the recession, and built relationships with some of our most important customers. We also commend him for making his daily commute from Iuka, MS to BTE each day for 14 years (~90 miles each way). That comes out to about 380 DAYS of driving! Bryan was instrumental in developing BTE’s wide catalog of torque converter configurations, and more importantly, developing our close relationship with the best drag racers in the world. His reputation for prescribing the correct torque converter is among the best in the entire industry. 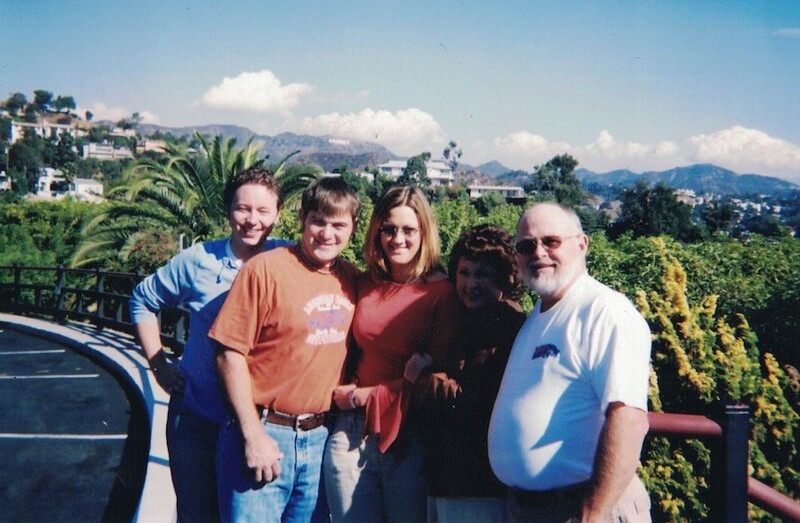 Most importantly, Bryan was a force of consistency and reliability in our daily lives. His punctuality, professionalism, and kindness set the standard for what BTE is known for today. Bryan embodies our maxim, “Built by racers in Mississippi.” He represented the character of BTE at racetracks, trade shows, and over the phone for the entirety of his 14 years with us. 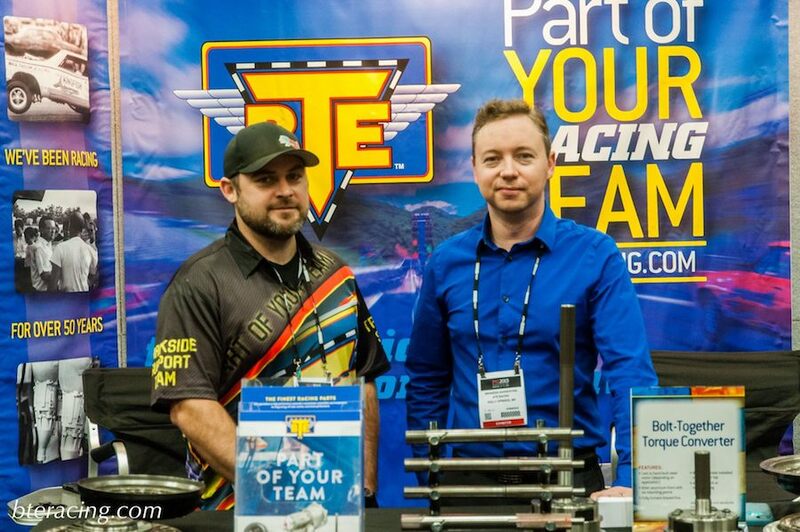 We’re thrilled to see how Bryan will thrive in his new career in the RV business and his continued connection to BTE as our outside Racing and Technical Consultant. Welcome to the BTE Racing Car of the Week series, where we feature our customers and fans, and the cars (and trucks) they love to race. Today, we're featuring Indiana's Scott Compton from 1967 Camaro. I've always been into performance cars and luckily decided to take it to the track. My first on-track race was at the Bunker Hill Dragstrip in the late 80s early 90s on a motorcycle. I raced a lot on the streets in the mid- to late 80s in everything from Camaros to Chevelles, Trans Ams to Chevy II Novas and even a Buick Regal. I now race a '67 Camaro full tube chassis car. A 615 c.i. BBC with a BTE Top Sportsman Powerglide. I decided to use a BTE transmission. I chose BTE because of the great reputation and good prices. I would love to drive a Pro Mod or Top Sportsman car. My pre-race ritual is a deep breath and a silent prayer. Welcome to the BTE Racing Car of the Week series, where we feature our customers and fans, and the cars (and trucks) they love to race. 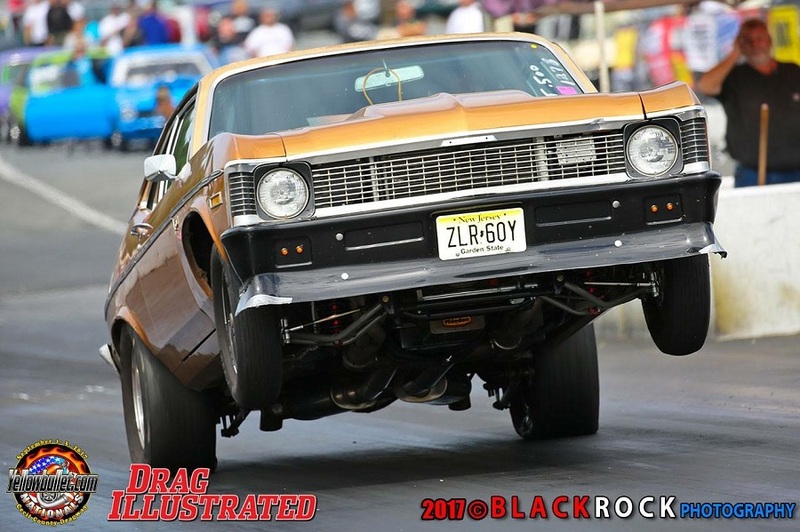 Today, we're featuring Paul Hodge's 1970 Chevy Nova. Joel Moore was my neighbor when I was young and he raced. I was hooked by him. I currently live on Lake Bonham, in Bonham, Texas. My first race was at Green Valley Raceway. My car is a 1970 Chevrolet Nova. I use a BTE Top Sportsman glide. BTE had the most competitive price. If money weren't an object, I would keep what I have and make it nicer. My pre-race ritual is a deep breath and silent prayer. Welcome to the BTE Racing Car of the Week series, where we feature our customers and fans, and the cars (and trucks) they love to race. Today, we're featuring a 32 Bantum Altered roadster from owner Eric Carnes of Eastpointe, MI. I got into drag racing when my dad took me to my first race in the 1970s at Detroit Dragway. I was hooked! My first car was a '69 GTO. I raced it the first time at Detroit Dragway in 1980, and that's when I was really hooked, because I won my first trophy. I currently have a 32 Bantum Altered roadster. It has a 572 BBC single four barrel carb. Two-speed powerglide, with a 9-inch BTE converter, 6200 stall. Also runs with a trans-brake. I have been using the BTE converter since I built the car in 2008. Reliability and consistency are important to me, and this converter rocks! The car runs 7.70's 168 MPH. John Force would probably be the person I look up to. That's why I would like to make a pass in a Top Fuel Funny Car! Even during the coldest months of the year (and some downtime due to inclement weather), growth and change are in full effect at our BTE office. It’s the perfect time to honor longtime employee Eddie Stacks, who celebrates a 20-year work anniversary with us in May 2018 and moves from manufacturing to sales this week. 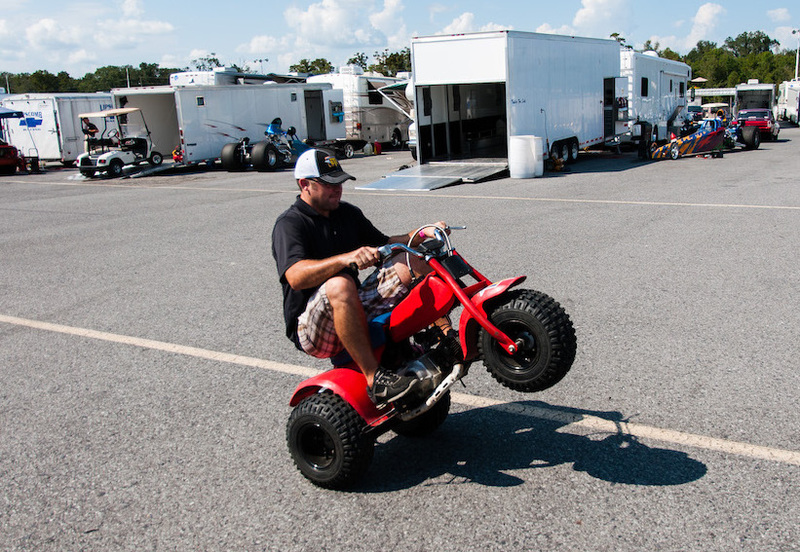 As a longtime advocate and racing enthusiast, Eddie was destined to thrive in the industry. He grew up building race cars and show cars with his father, and the racing bug stayed with him ever since. 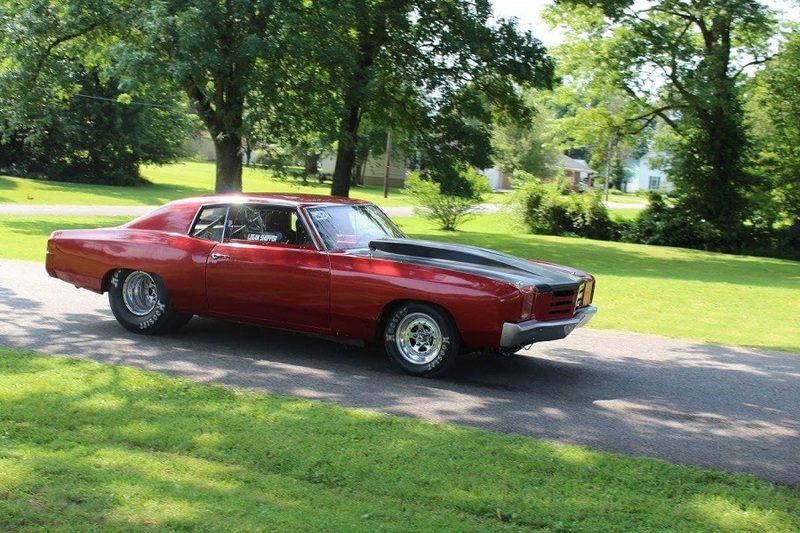 Today, he continues to build race and show cars (like the beauty in the cover photo and the car below), and organizes car shows in North Mississippi. At 16 years old, he started working for another performance transmission company where he learned the ropes. Since starting at BTE in 1998, he's built every valve body, solenoid, and many of the planetary gear sets and clutch drums we’ve sold. Eddie’s built a career working on his passion, and we know BTE and our customers are better for it. He brings a lifetime of experience in product manufacturing, racing, car building, and troubleshooting to our sales/tech team. Starting this week,you’ll have the privilege of speaking to Eddie and benefiting from his expertise when you call us on the phone. Whether you're calling to ask about servicing a part, or you're in the market for a new transmission, we know Eddie will treat you right. Give us a call, say hi to Eddie, and let us optimize your car's performance with over 20 years of experience. Welcome to the BTE Racing Car of the Week series, where we feature our customers and fans, and the cars (and trucks) they love to race. Today, we're featuring a 1962 Pontiac Catalina Chassis car from owner/driver Dan Simmerly and co-owner Ricky Richardson, hailing from Bourbon, MO. I started drag racing on the street when I was 14, in 1972. I’m 59 years old now. My first race on a drag strip was Sullivan Raceway in Sullivan, MO in 1974. We now have a 1962 Pontiac Catalina Chassis car, steel top and rear quarters. This year we upgraded to a BBC 632 Alcohol Injected 12-1300 HP NA + fogger system. Last year we ran an All Alum BBC 580 ci on pump gas with Nitrous. We run a BTE Sportsman Powerglide with a 10” BTE converter. I did the research on transmissions and converters and talked with several other racing friends who run BTE products. We decided BTE was the toughest and best choice for our car. I always walk the first 100 feet of the track and check both lanes first thing, no matter what track or how many times I’ve been there. New plans for this year? This year we are concentrating on mostly No Prep, Grudge/Heads up racing rather than bracket racing. 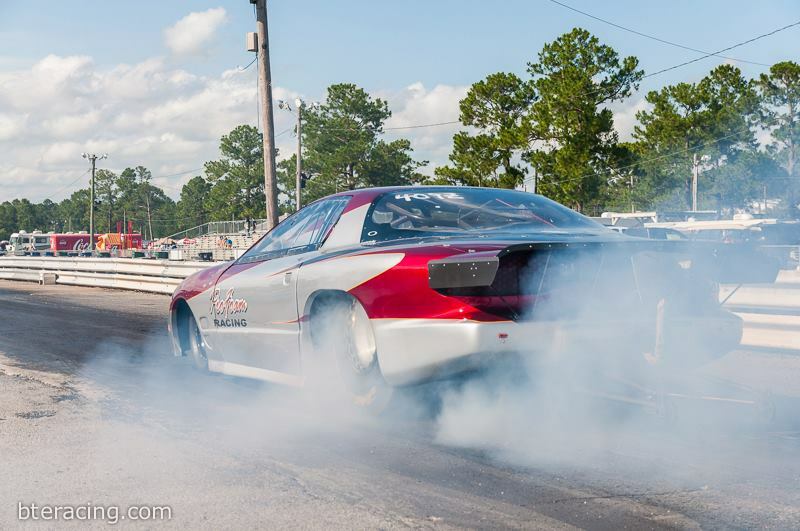 Now in its 13th year, the King of the Coast bracket racing series at Gulfport Dragway kicks off again in February for another exciting year. BTE is a proud title sponsor of the series, and we'll be rooting on racers in Gulfport, Mississippi throughout the year. We'll also be supporting the series with our "BTE Bonus," which gives racers that elect to participate a chance to win our Top Sportsman Transmission in the Electronics and Footbrake classes for the 2018 Race Season. The participating racer that finishes the highest in the 2018 KOC Points Championship will earn the BTE Bonus and the BTE Top Sportsman Transmission. The BTE Bonus is an addition to the current KOC Series Awards Program. The 2018 season will now have three components, listed below. BTE Bonus-BTE Top Sportsman Transmission + Bonus Cash. Racers that elect to participate in the BTE Bonus must participate in the BTE KOC Series Event decal and display decal on their car once purchased. Decal must be purchased no later than the third event. $10 if decal is purchased prior to 1st Rd of Event 1. $15 if decal is purchased at Event 1 during 1st Rd or after. $20 if decal is purchased after Event 1. $25 if decal is purchased after Event 2. The cost to produce the BTE KOC Series Event Decal is $5. All monies collected over the cost to the manufacturer for the decal will be awarded to the winner of the BTE Bonus Winner in “Bonus Cash” in Electronics and Footbrake. The KOC will publish a list of participating racers and the amount of monies collected for the BTE Bonus Program. Mark your calendars with these dates! For more information, follow the King of the Coast Facebook page, and check out the Gulfport Dragway website for scheduling. Welcome to the BTE Racing Car of the Week series, where we feature our customers and fans, and the cars (and trucks) they love to race. 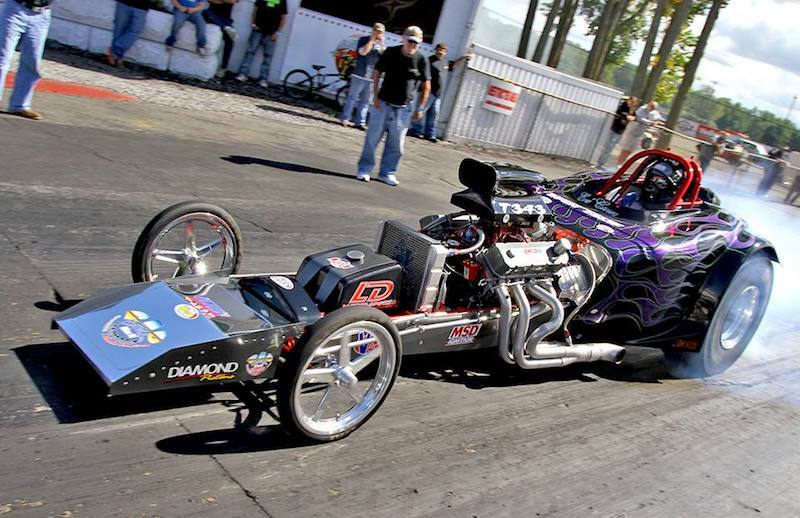 Today, we're featuring Tim Richard and his 2010 Joe Monden Monoshock Top Dragster. Tim hails from from Winnipeg, Manitoba in Canada. I started racing in 1989. A friend took me to drag race and after that, I was hooked. I started at my home track, the Gimli Motorsports Park in Manitoba, Canada. My car is a 2010 Joe Monden Monoshock Top Dragster. My car is powered by a 565 Big Block Chevy with a F-2 Procharger. 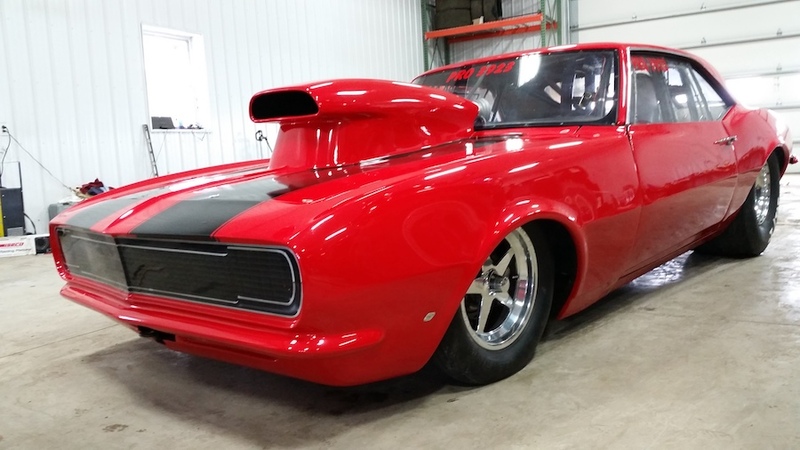 All are maintained by Dragmart Performance in Winnipeg. I have a 10-inch converter and a Top Dragster Shorty Powerglide from BTE. One of my favorite racers is Jeg Coughlin. If money were no object, I think Top Sportsman and Top Dragster would be my wish. Welcome to the BTE Racing Car of the Week series, where we feature our customers and fans, and the cars (and trucks) they love to race. Today, we're featuring Afton Swanson from Denver, Iowa's 2015 Spitzer Top Dragster. My dad took me to a race track when I was 8 years old and we rented a junior dragster for me to drive. I enjoyed it so much that I got my own juinor dragster for Christmas that year. I raced juniors until I was 16, then moved into a full-sized dragster and raced in our local Super Pro weekend bracket races. 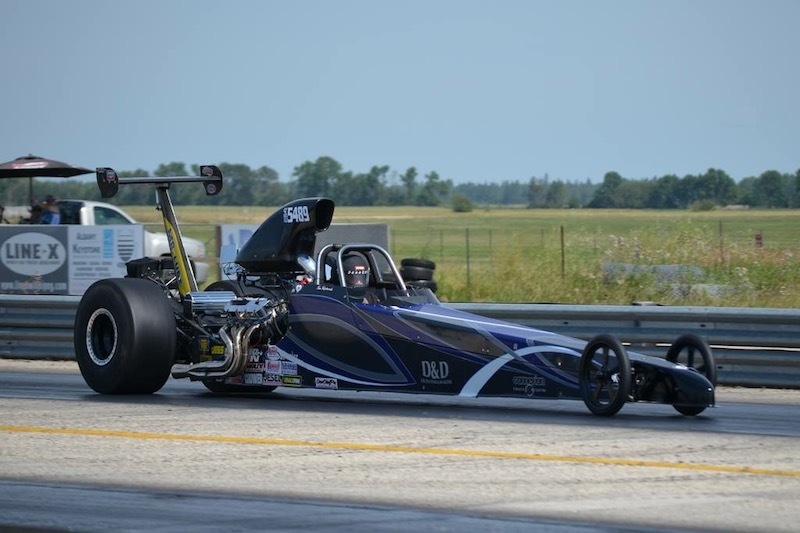 In 2013 my dad retired, so I continued on my own into the Top Dragster category. I met my husband, Joe, through drag racing. He raced drag bikes at the same drag strip where I first got my start (Humboldt County Dragway). We became a team in 2014 and began traveling throughout the Midwest for my Top Dragster races. One of the things that makes us unique is that we are the youngest team in drag racing competing at this level. I am 26 and Joe is 28; this is our 4th season in the Top Dragster category. 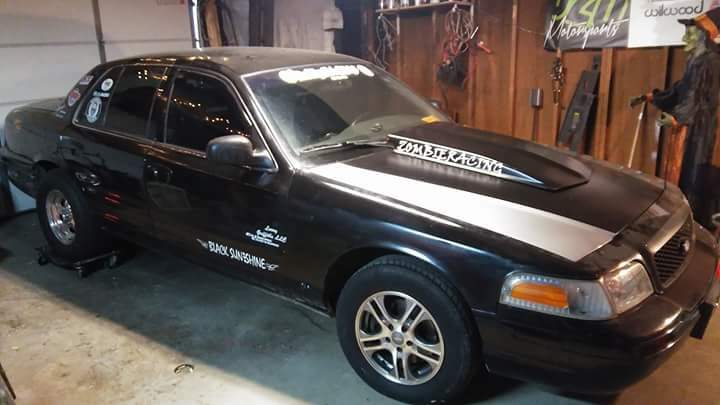 In 2018, Joe will also be racing a car of his own that he built from the ground up, a Chevy S10 drag truck that he will be driving in the Super Street category. My first race ever was in June 2000 at Humboldt County Dragway in Humboldt, Iowa. I raced my junior dragster. I was planning to step up my racing program this year to be able to run at the class maximum, 6.00. I knew I needed to make some changes in my setup to be able to put that kind of power to the ground. We did a lot of research into different brands before we made the decision to switch to BTE. We were extremely impressed with our results; right out of the box we found that my reaction times became much more consistent, and the converter slip was drastically reduced. We were able to tune the car up and run consistent 6.00s and dipped into the 5.90s on several occasions. 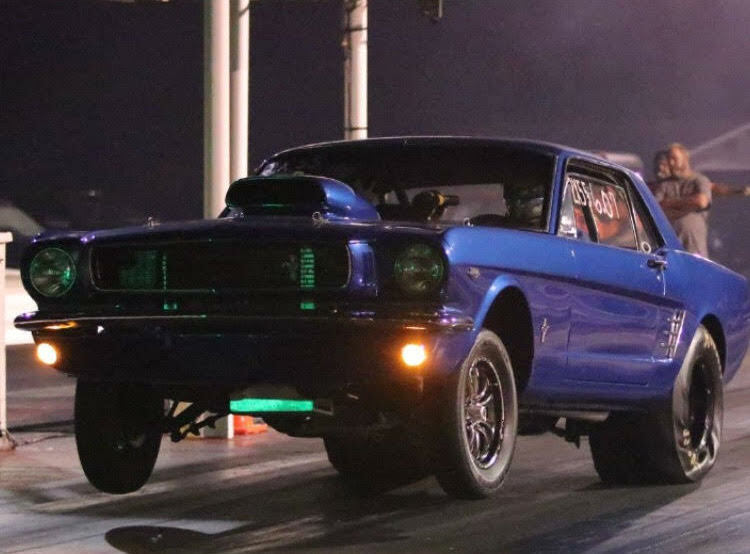 The converter has been reliable all season and has handled all the power we have thrown at it, which is exactly what you need in a class like Top Dragster. Definitely Shirley Muldowney. If she had not been bold and stood up for her right to drive a race car, there’s a good chance that myself and other women would never have had the opportunity to pursue drag racing. I can’t decide between a Top Alcohol Dragster or a Pro Mod, so if money were no object I would have both. I’m a bracket racer at heart though, so I will always keep my Top Dragster, no matter how far my racing career takes me. My long term racing goal is to have a Top Dragster and a Top Sportsman car. Then Joe and I will be able to trade cars at different events so we can each run the cars in both classes. At the trailer, I usually clean the car and wipe down the motor and wheels. I think it is my way of keeping my mind occupied between rounds so I don’t get nervous. In the lanes, I go around and make sure fasteners and nuts are tight. If I know my car is in good, working order it keeps me calm and I feel more confident against my opponent. The holidays are a great time to spend with friends and family, but sometimes you just need to veg out on the couch, eat leftovers, and watch a good film (or two). For the winter doldrums and holiday post-ham stomach settling, we've rounded up some great racing movies that span decades (some serious, some funny, all entertaining). Though it wasn't a commercial success when it came out, this movie about two drag racers—James Taylor and Dennis WIlson play a driver and mechanic, respectively—taking their 1955 Chevrolet 150 two-door sedan across the country later became a cult favorite. A portion of the movie was filmed at the Lakeland International Raceway in Lakeland, TN, and you can even spot Bill Taylor in a few scenes! Watch the trailer below, and view the full movie on Vimeo (in two parts). Like most amateur drag racers, the movie's protagonist Jim Dunn doesn't get to spend all of his time racing; his day job as an Orange County, California firefighter keeps him and his family afloat. 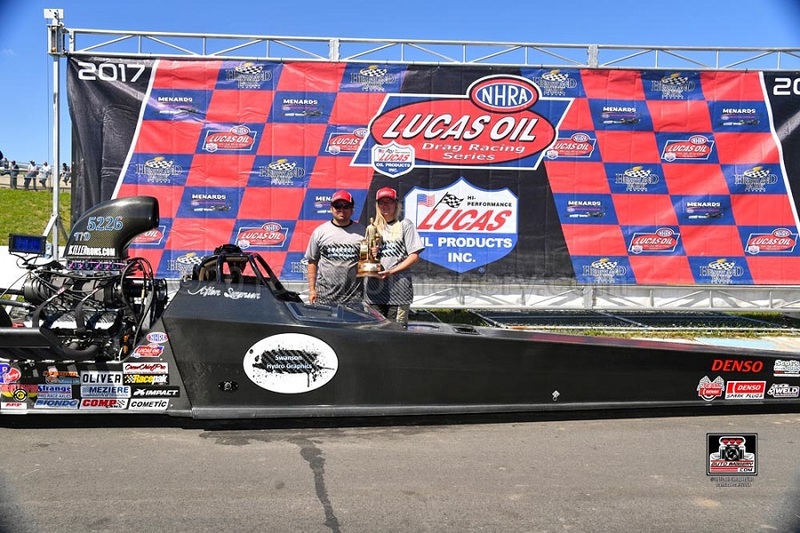 But summertime gives Dunn and his family the opportunity to travel around the Western U.S. for months, competing in various races with a trailer and funny-looking dragster in tow. Watch the preview here, and the full movie on YouTube. Based on the true story of driver Shirley Muldowney (played by Bonnie Bedelia), the movie chronicles her success from housewife to NHRA champion, with all of the drama you'd expect in a biographical film about the first professional racecar driver. See the trailer below, and watch the full movie on CartoonHD. The movie based on the rivalry between racing legends Don "The Snake" Prudhomme and Tom "The Mongoose" McEwen traces their relationship from the early days of their friendship to their partnership with Hot Wheels and up to McEwen's 1978 Indy win. 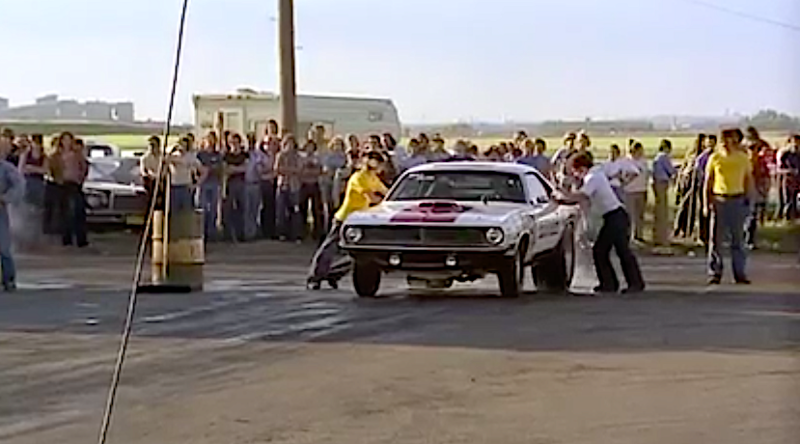 The film includes actual NHRA archival footage from their races in the '60s and '70s, and cameos from the real Don and Tom, too. Watch it on Google Play, YouTube, or Vudu. Welcome to the BTE Racing Car of the Week series, where we feature our customers and fans, and the cars (and trucks) they love to race. 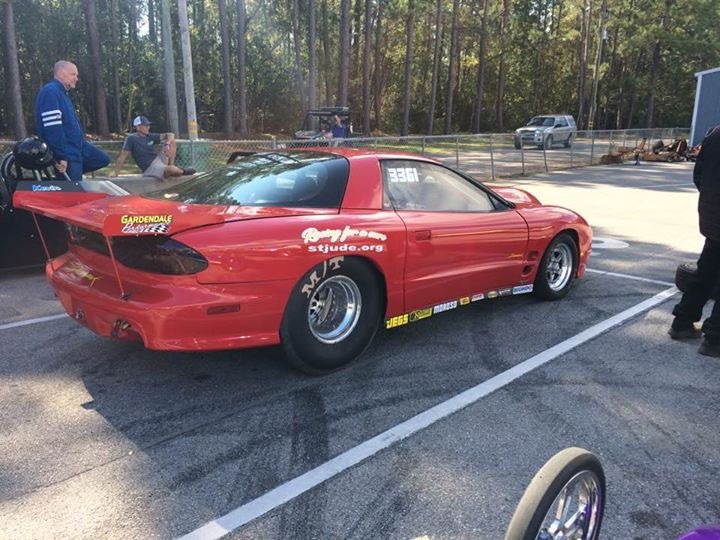 Today, we're featuring TJ Williams' 2000 Pontiac TransAm. I try to do the same thing thing every time on every run. If you're already missing the racing season, we feel your pain. During the winter months, we like to stock up on fun videos while contemplating how to make next year even better. During our search, we came across this unconventional gem starring a snowmobile. Yes, it races on land, and yes, it wins against a Ferrari F430 Spider. Enjoy! Welcome to the BTE Racing Car of the Week series, where we feature our customers and fans, and the cars (and trucks) they love to race. Today, we're featuring Lucas Walker's white 1993 Ford Mustang. Several of my family members race and it started with me going with them. In 1995 I was very fortunate that my aunt and uncle bought me a junior dragster. I race two different 1993 Ford Mustangs. in bracket racing, a consistent car is necessary. BTE is my choice for transmissions and converters. I could list a 1000 names, but I don't have anyone in particular. I would just take what I have now and try to perfect them. I'm superstitious. I just do the same routine every race, every round. Welcome to the BTE Racing Car of the Week series, where we feature our customers and fans, and the cars (and trucks) they love to race. Today, we're featuring Mark Taylor and his 1966 Ford Mustang. I had a good friend that raced. I would always help him, but he didn’t go as often as I wanted to. I built my first car in 1988. I call it a lot of names, but not really a nickname. There’s many! But I guess Lucas Walker is top of the list. He’s as good as anybody, especially footbraking! He absolutely never gives up! I really wanna run stock some day. When I get in the late rounds I always take a deep breath and say a short prayer in the water box. Welcome to the BTE Racing Car of the Week series, where we feature our customers and fans, and the cars (and trucks) they love to race. 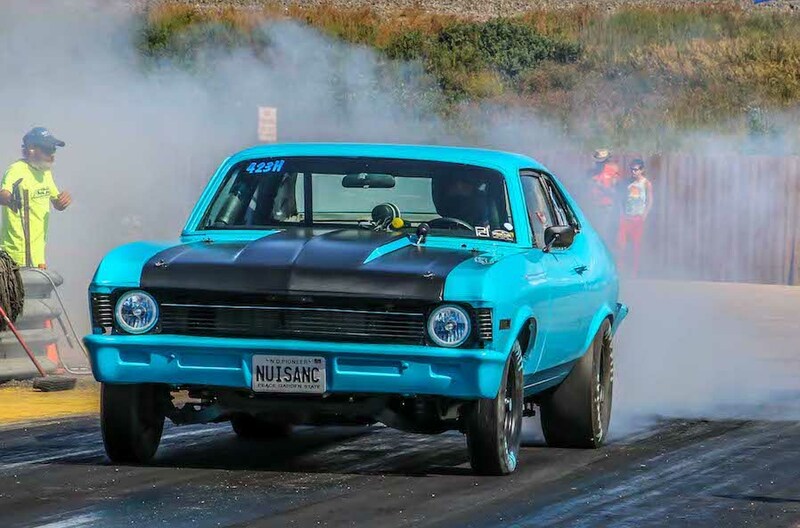 Today, we're featuring Adam Potter and his 1972 Chevy Nova. A close friend and co-worker convinced me to take my quad out and give it a go. Converter, input shaft, t-brake solenoid, and this off-season: a master rebuild kit. man that got me into this sport, Keith Winters, who is always willing to coach and give a hand on and off the track. 50 Merc, slow and low. On the way to the track I blast Drop Kick Murphy's or Big B, and once in the car I look at a funny picture on the dash to clear my head before I stage. When you race with our Top Sportsman Powerglide, we know you're serious about your car—and serious about winning. So it's no surprise that some of the most successful drag racers have our Top Sportsman under the hood. 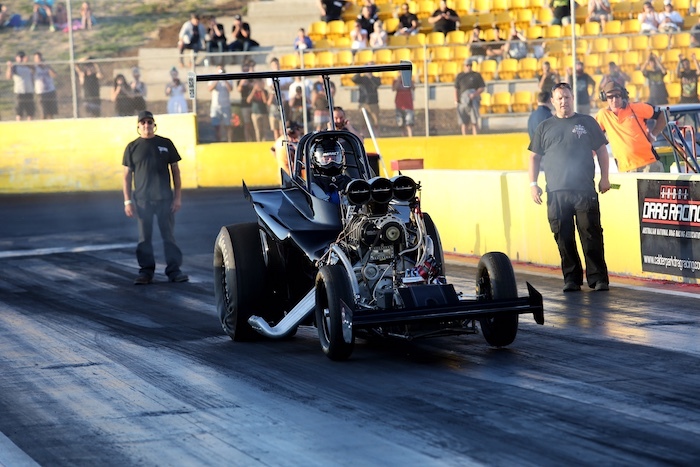 The Australian that started as a Top Fuel crew member drives a beauty of an altered dragster. 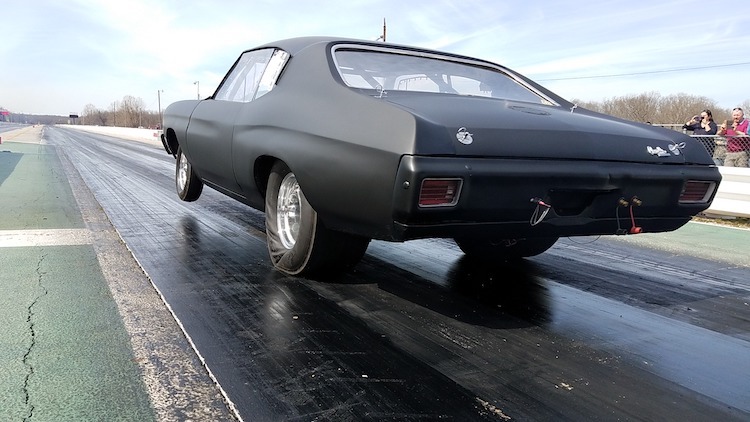 BTE-sponsored racer Bobbie Rader started a family racing legacy that started with her 1970 Chevelle, rebuilt from the ground up. 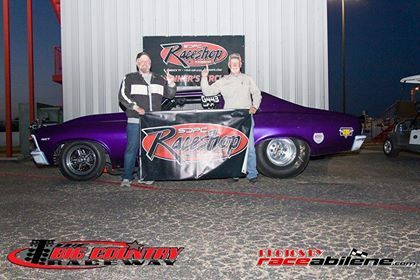 Texan Dunaway has now raced his Bel Air for over 25 years, putting in more than a few wins. The Washington resident that learned about racing from his dad has been tearing down the track since 1993. Our Top Sportsman Powerglide gets a lot of love from the best racers, and for good reason; it's our most powerful transmission, and an investment racers make when they want to get serious about winning and making the most out of the cars and trucks they put so much love and energy into. There was a time before every successful racer with a Top Sportsman reaped the benefits and made the change. Maybe 2018 is the right time to make the switch if you haven't already. Here's a rundown on the numbers for the top-of-the-line transmission designed for powerful cars and big wins. Number of people it takes to build one: Two—one builder, and one tester. Number of speeds: Two—high and low. It's the time of year when we start reflecting on changes and improvements we want to make for next year, and we know lots of people are thinking about upgrading their cars. We think our Grudge Winner transmission could be the key to a brand new start. But don't take our word for it; we think the facts speak for themselves. Maybe you know that our new two-speed TH400 uses an innovative billet transbrake valve body for second gear usage. Maybe you even know that it works best in cars where traction is limited by tire size, chassis setup, or racing surface, because its numerically lower gear gives the car a lower starting line ratio, allowing for a less violent launch. But we know the real question on your mind is this: How will switching to a Grudge Winner help racers the most? Not only does the lower ratio soften the launch, but the closer ratios keep the engine RPMs higher after the shift. 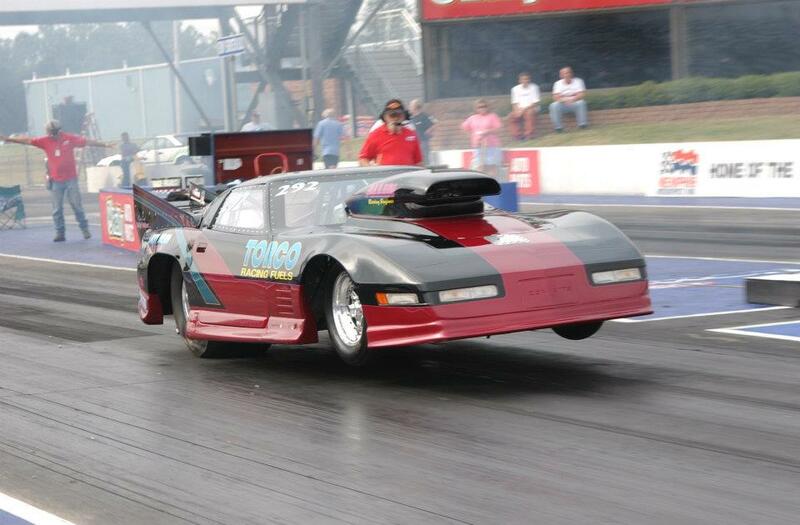 Keeping the car higher in the powerband where it's making best average horsepower will allow it to run better. 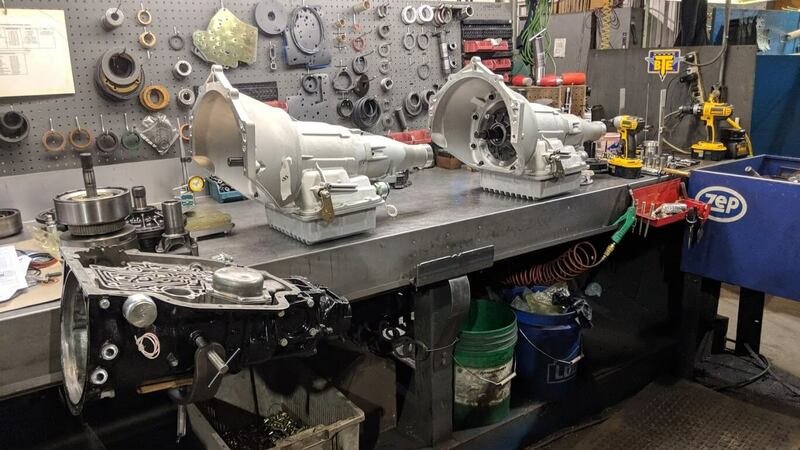 Plus, the design aspects of the 400 transmission make it more reliable than a Powerglide above 2800 horsepower! Now that we've got your attention, here are a few other facts to keep in mind when considering the switch.